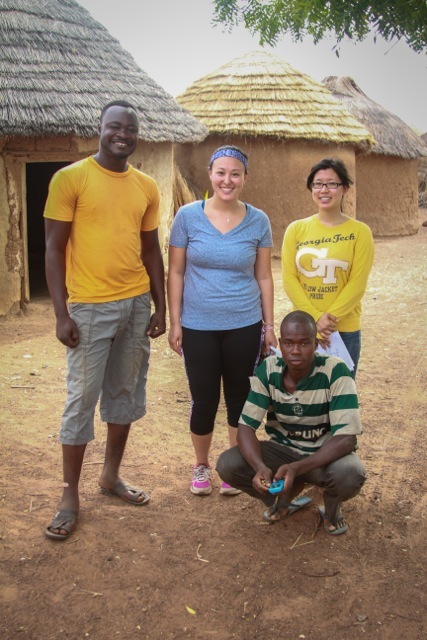 Voices from the Field: Our First Solar Fellows! Hey! 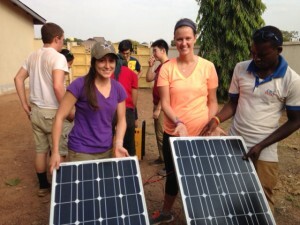 It’s Linda, Lucas, Nick, and Sarah, the CWS Solar Fellows. 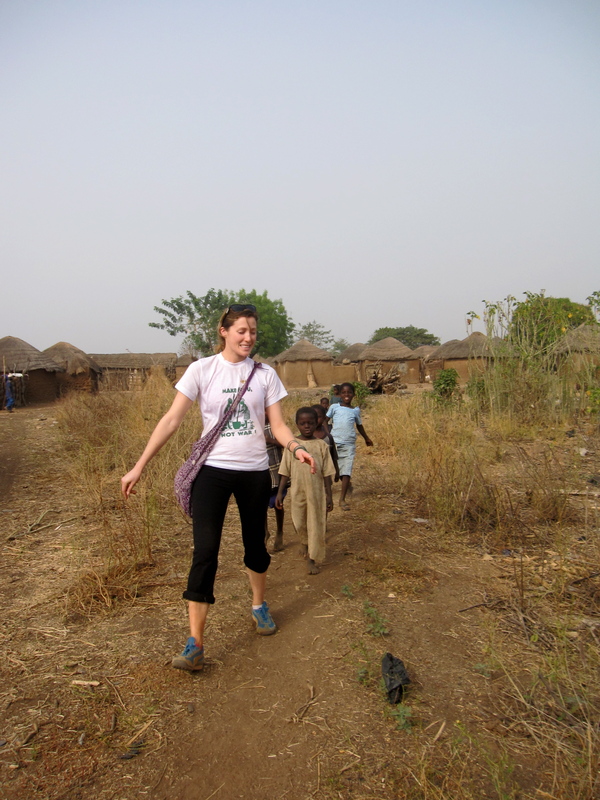 After arriving to Tamale, we were surprised with a scavenger hunt around the city to get to know the locals, places, and culture on a more intimate level. During the 2 hour time frame, we ran around the market looking for things like dried hibiscus flowers, one calabash, and one piece of fabric with the U.S. flag on it. 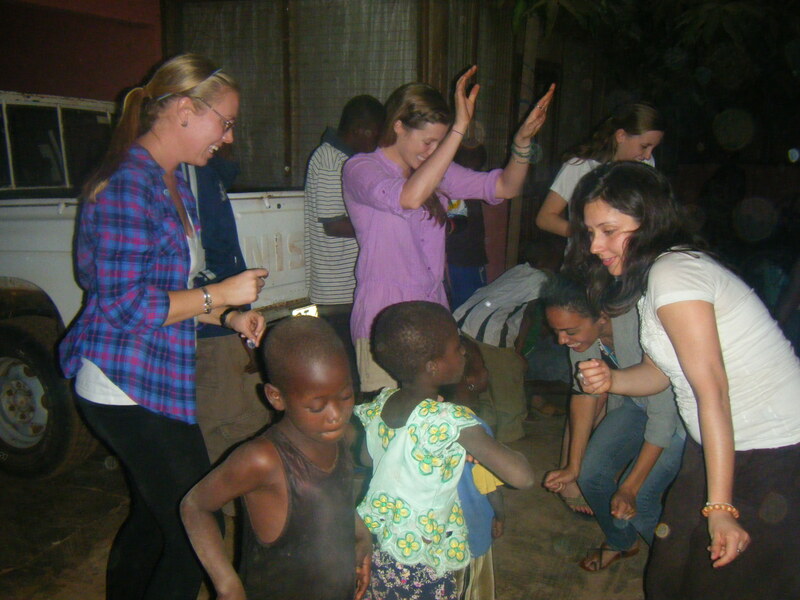 We then went around the Cultural Center trying to convince locals to dance with us to Pharell’s “Happy” while being recorded on video. 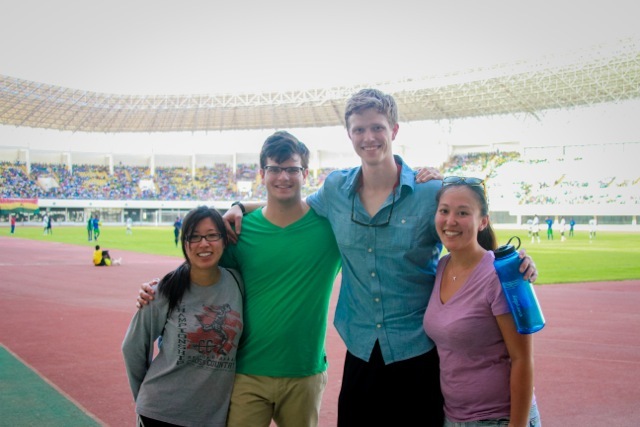 Next, we needed to take a picture on the Tamale Football Stadium field. We discovered upon arrival that the Ghana vs. Sierra Leone game was in session and wondered how to cross that off the checklist. After sweet-talking the guard, he allowed us to watch the game from the field. 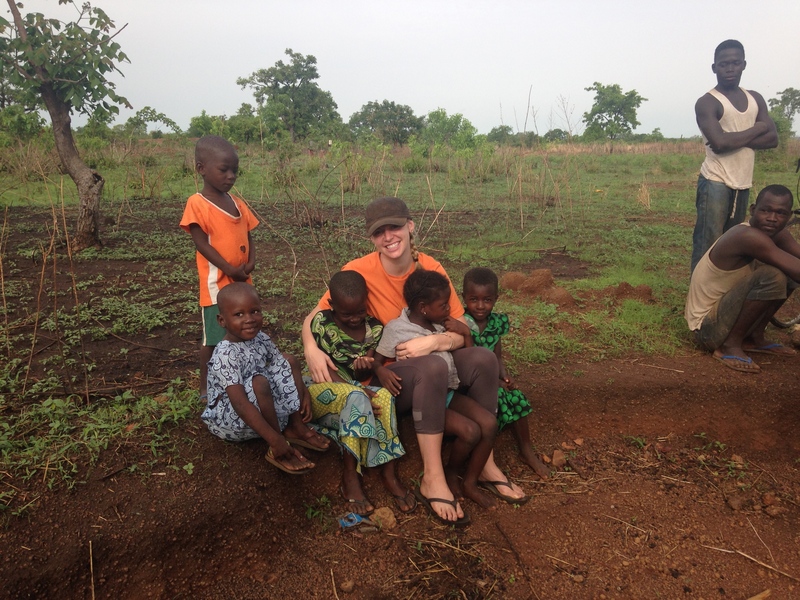 Yesterday, we headed out to the field for this first time this trip! 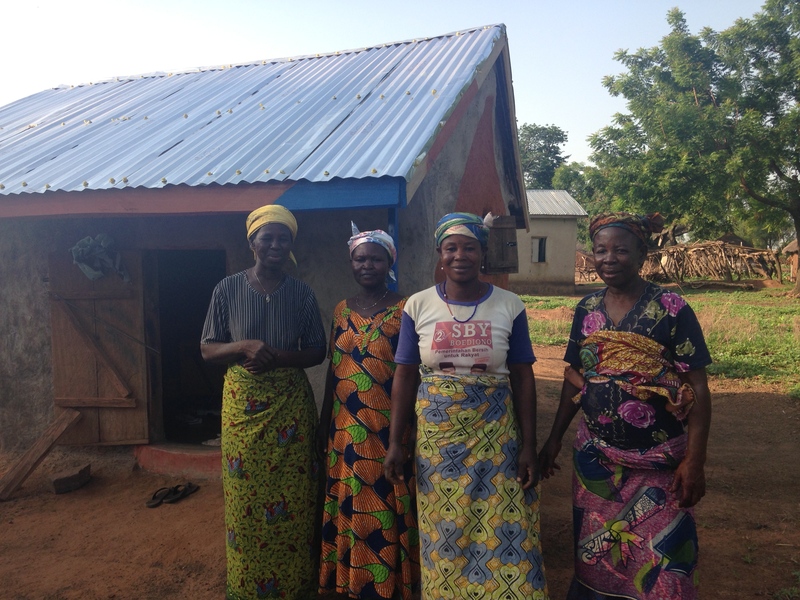 We visited Sakpalua, where we monitored both the water and solar businesses, which are run by four women, including the two water entrepreneurs Lydia and Damu. 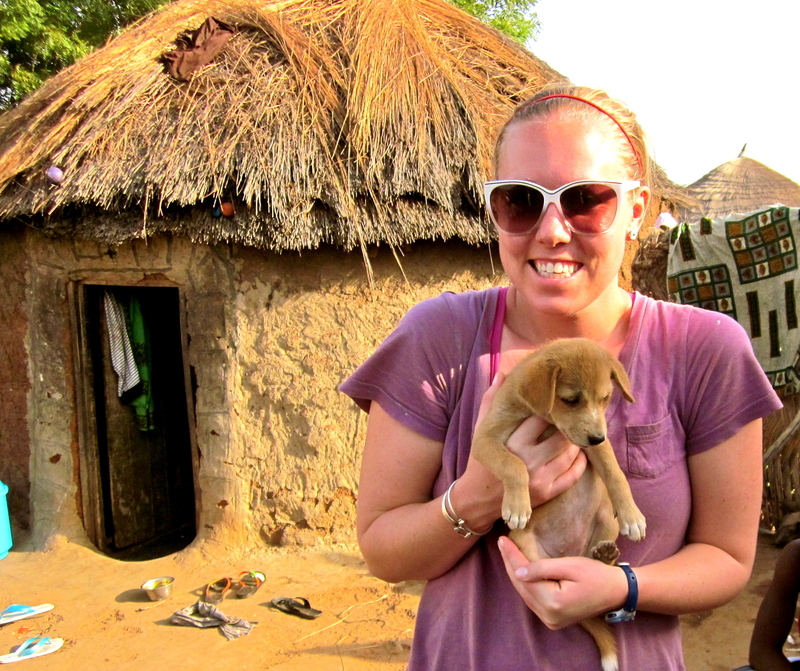 Unfortunately, Damu was unable to meet with us because she was in another village attending a funeral. 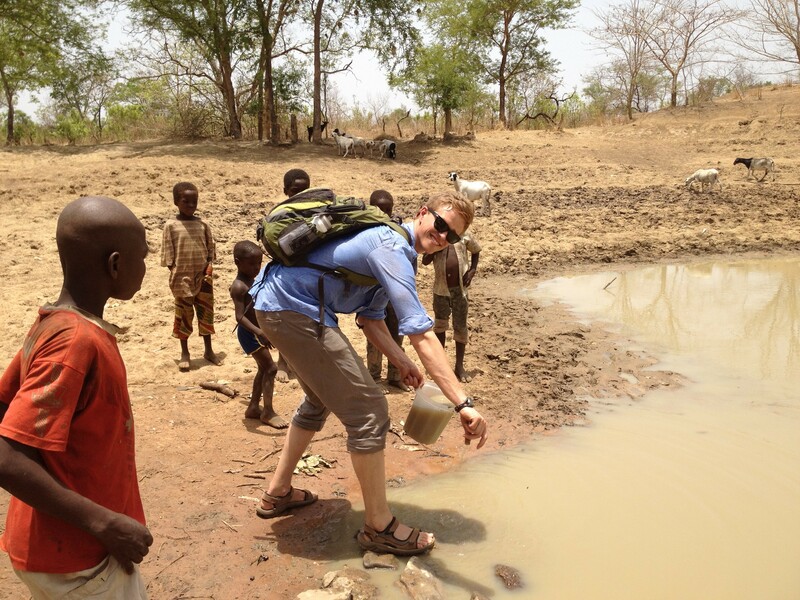 In particular, it was great for Nick to be back in the village that he implemented on his first Fellowship. 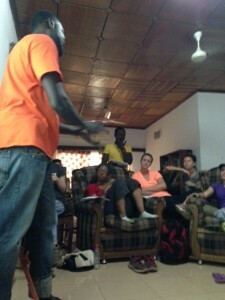 He played mancala with the children and hung out with his friends Simeon, Zizu, and the Pastor. He also got to take a picture in front of the CWS sign with the children of Sakpalua. It was the first time that any of us were able to see an implemented solar charging center and it was great to see that everything has been running smoothly. The women seemed to be in good spirits and had been doing a great job of keeping track of sales at the business. When we asked if there had been any problems at the center, they did mention a suspicious “whirring” noise coming from the Genset. After thinking about it for a few seconds, we realized that what they were talking about was the fan that keeps all of the components cool. When we explained this to the women, they were very relieved and let us know that there weren’t any other issues with the center. 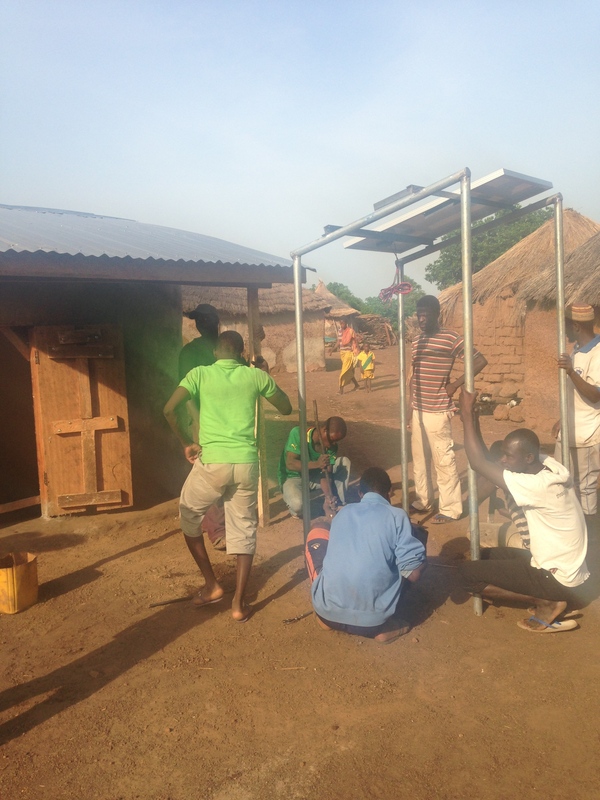 After monitoring households in Sakpalua, we made the short drive to Wambong – another CWS solar village. The entrepreneurs in Wambong had been experiencing good sales as well, and the households we monitored said they enjoyed having easing and affordable access to cell phone charging. 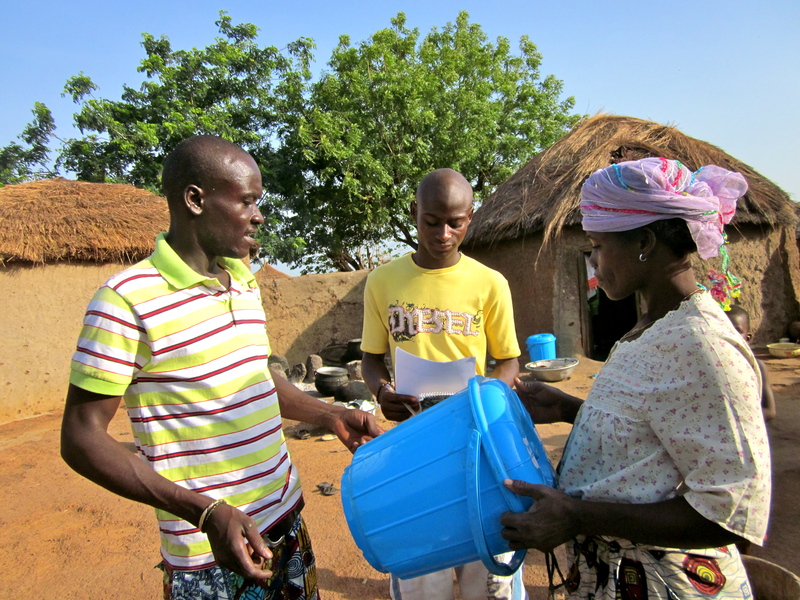 As in Sakpalua we monitored the households for water as well and were encouraged to hear so many stories of improved health for families and their children. After a successful first day in the field, we had the chance to learn how the components of the solar center worked and how everything should be connected. This made us all really excited for tomorrow, as it will be our first day in Yepalsi, where will be spending the next few weeks implementing a new solar charging business. The solar center in Chani on opening night. Even the sheep were excited! 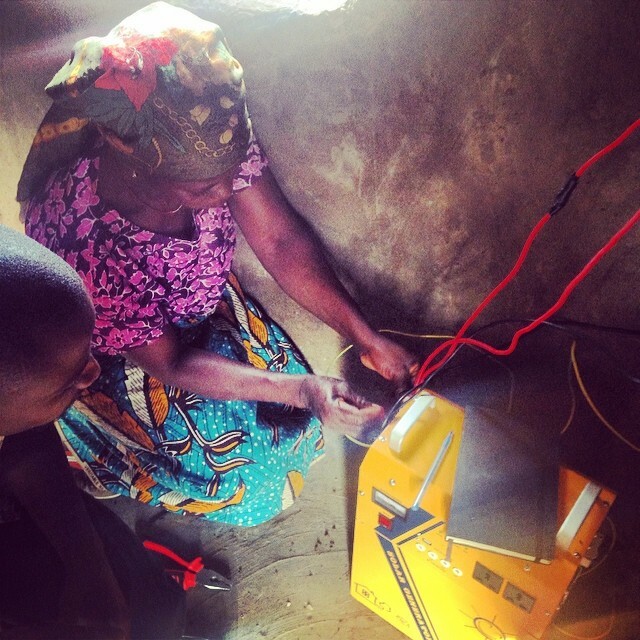 On Wednesday April 23rd, 2014, the 4th CWS solar center opened for business in Chani! As you may have read on the blog, opening night was pushed back a few days because of a faulty inverter. While the setback was a disappointment, the opening was still a big success. 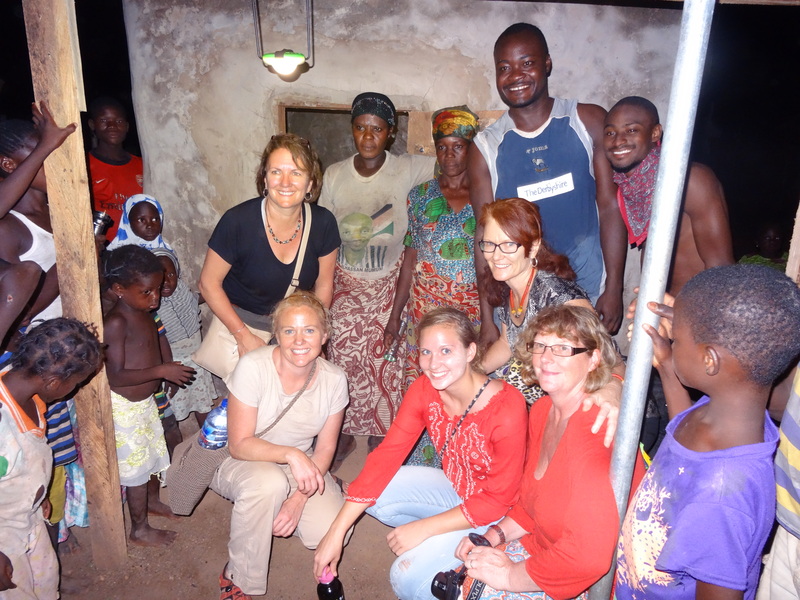 The CWS full time Ghana staff along with my family (who was visiting from the US and Ireland) made it to the big event. 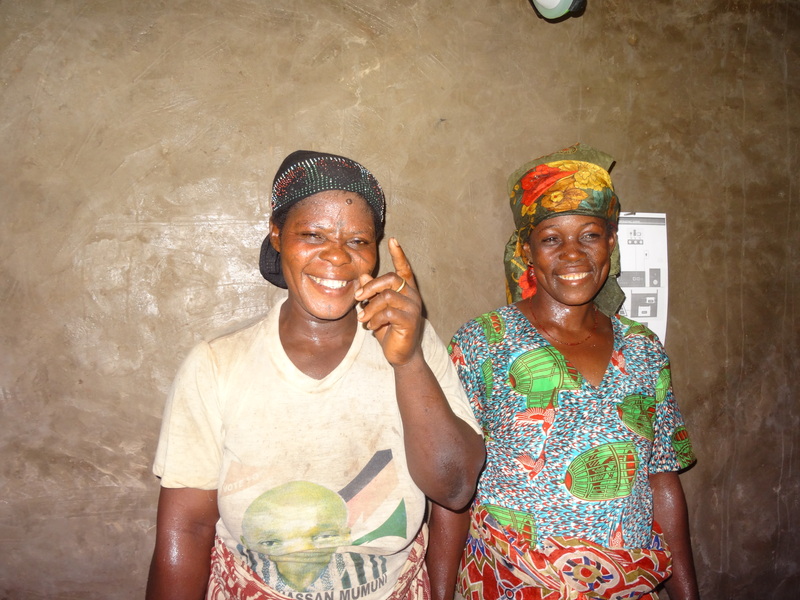 Muneera and Salamatu, the CWS solar and water entrepreneurs, were very enthusiastic about the opening. 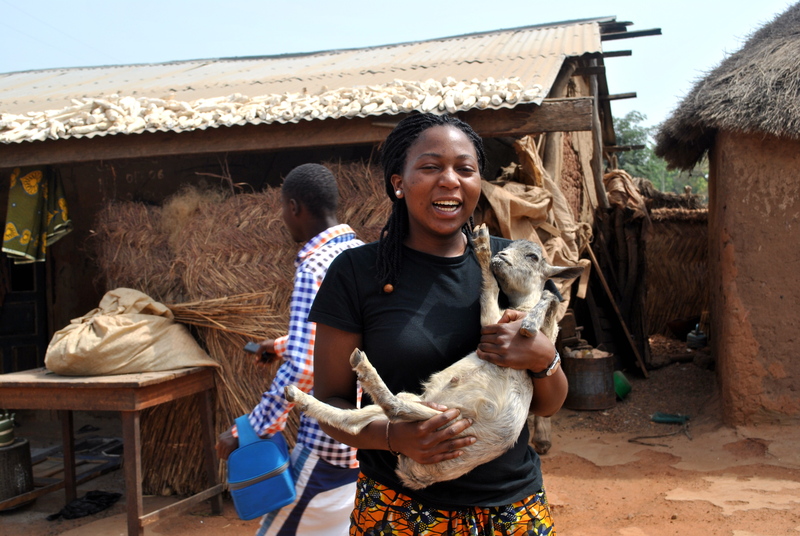 Salamatu (famous for Salamatu’s story) said she was excited for the opportunity to run another business that would improve the lives of Chani community members. Here are more pictures from the night. 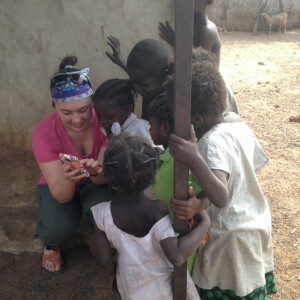 Photo credit goes to my aunt Tara Canellas visiting Ghana from Ft. Lauderdale, Florida! 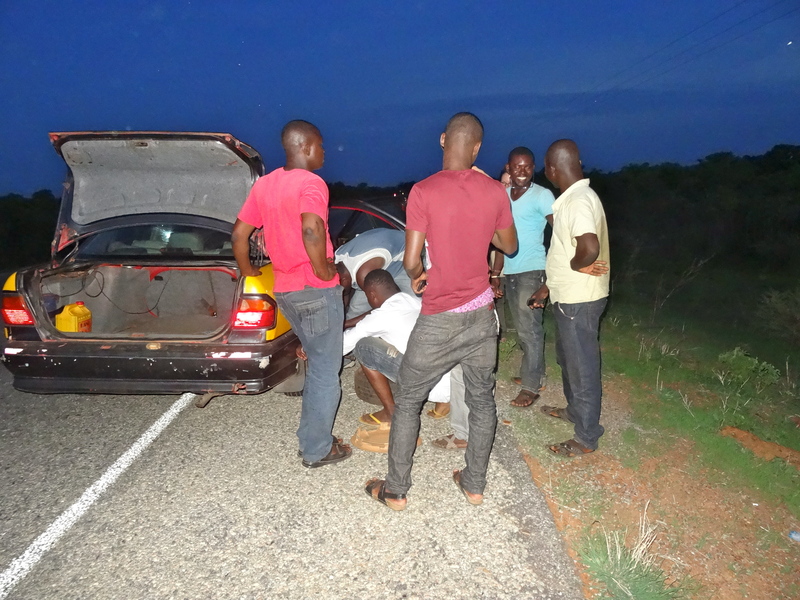 TJ’s taxi got a flat tire en route to Chani but the CWS team worked together and within 15 minutes, we were all back on the road! Wahab showing me around the solar center! 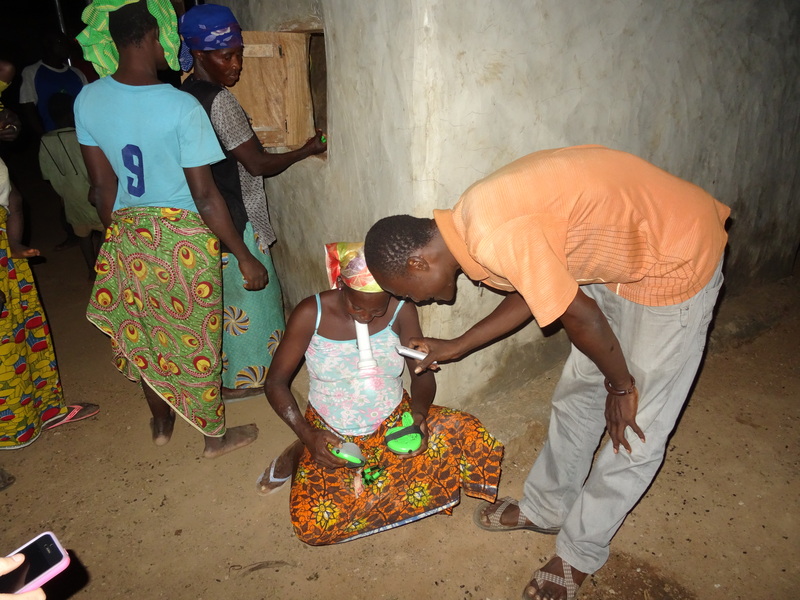 CWS Field Representative Wahab helping Salamatu with battery sales inside the center. It was hot in there! 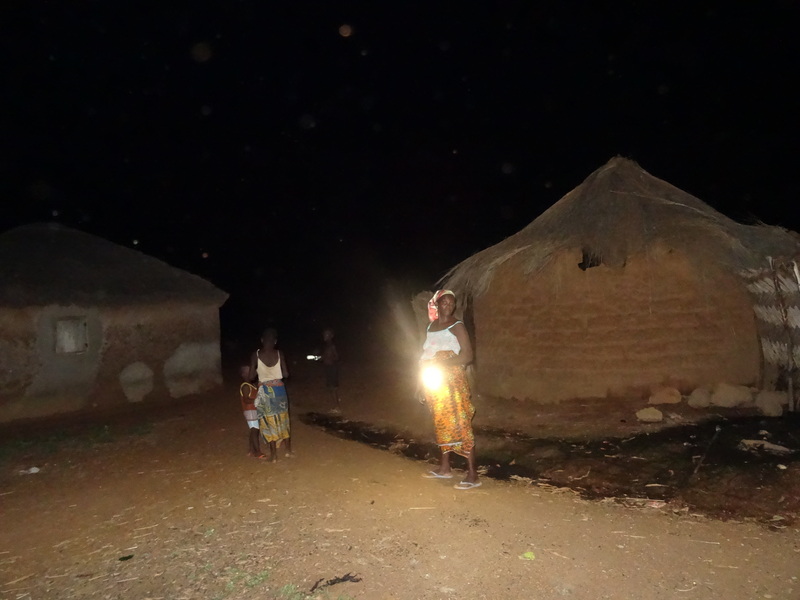 A woman shines her Burro lantern on her walk home. The center ceiling is so high that even CWS Field Rep Shak can stand inside! Muneera and Salamatu smile after the opening. Every household came to get batteries! They were so excited to get the business started. We are so proud of them! Me, Muneera, Salamatu, Shak, Eric and Wahab cheesing outside the solar center after the opening! My fam gets in for a pic with Muneera, Salamatu, Shak and Wahab. Success!!! I think the photos in our last blog post really tell it all – opening night in Sakpalua was a big success! 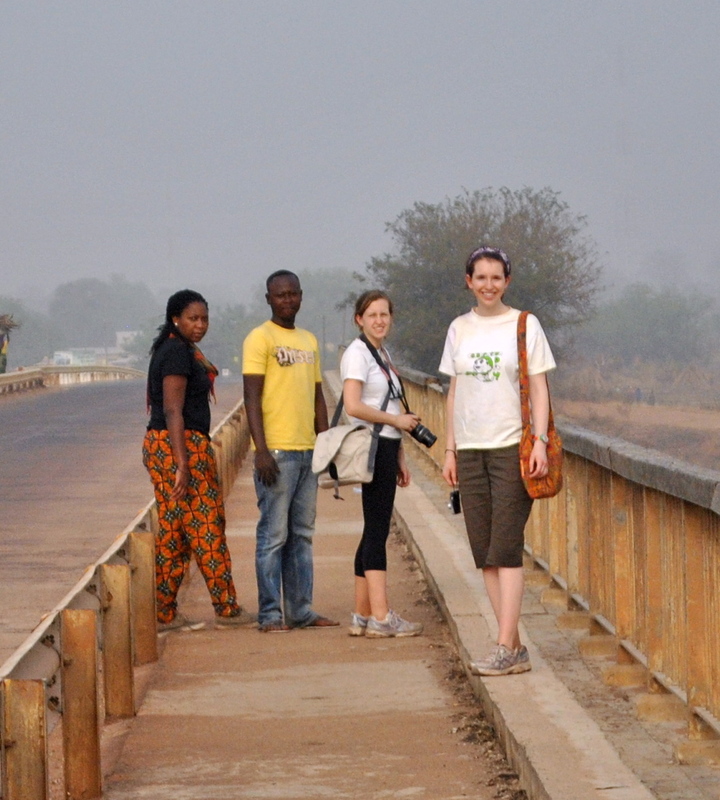 Lydia, Damu, Fuseina, and Saramatu were awesome. Two ladies posted-up by the sales door to collect payments and record sales while the other two ladies took batteries out of the chargers and immediately replaced them with a new set to get charging. The business completely sold out of charged batteries within the first 30 minutes! The Burro batteries must be rented out directly from their chargers because as soon as they are removed, they start to loose little bit of their charge. 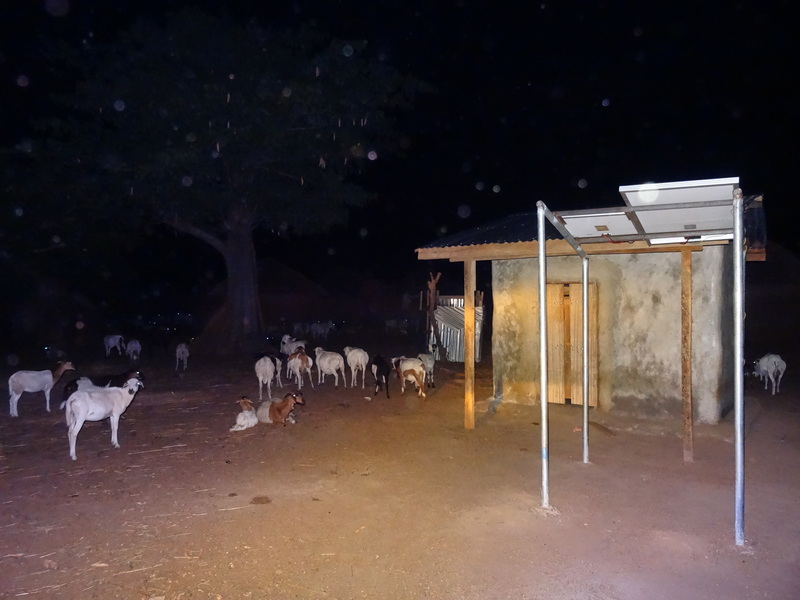 Since,the Genset can only charge 60 batteries at a time, the ladies could only sell those 60 batteries (20 lanterns worth) at once before waiting for another batch to charge up. Fuesina in re-chargable battery heaven! We were hopeful that another round of 60 batteries could charge quickly, so we decided to play some videos that we had taken in the community to distract customers while they were waiting. 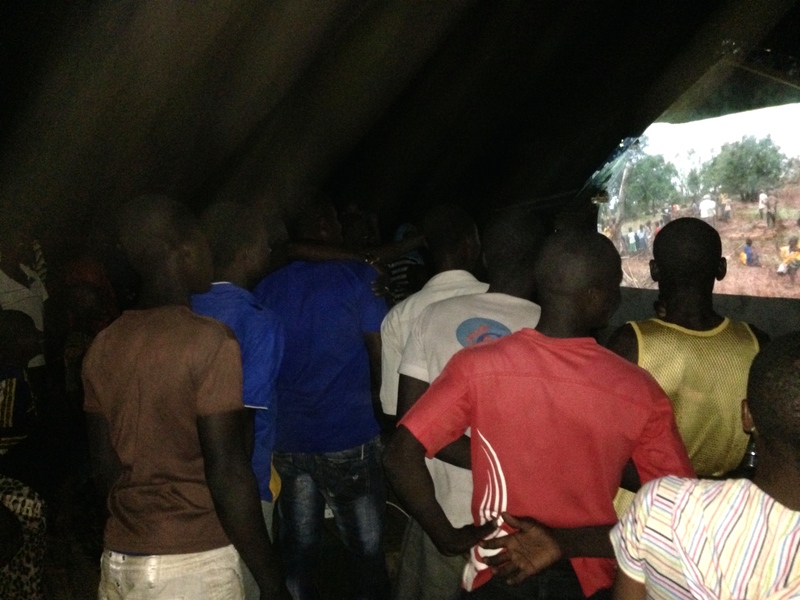 We plugged our projector into the Genset and projected the videos on the side of the solar center. It was a big hit! Unfortunately, after 45 minutes of waiting, the next round of batteries still weren’t charged. So, the ladies closed up shop and told the remaining customers to come back in the morning. This often happens on our water business opening days as well. Since it’s the very first day of sales, it’s the only time that every single family in the community will need water or batteries all at the same time. After opening night, demand starts to spread out as different families use their lanterns more/less (or drink more/less water). 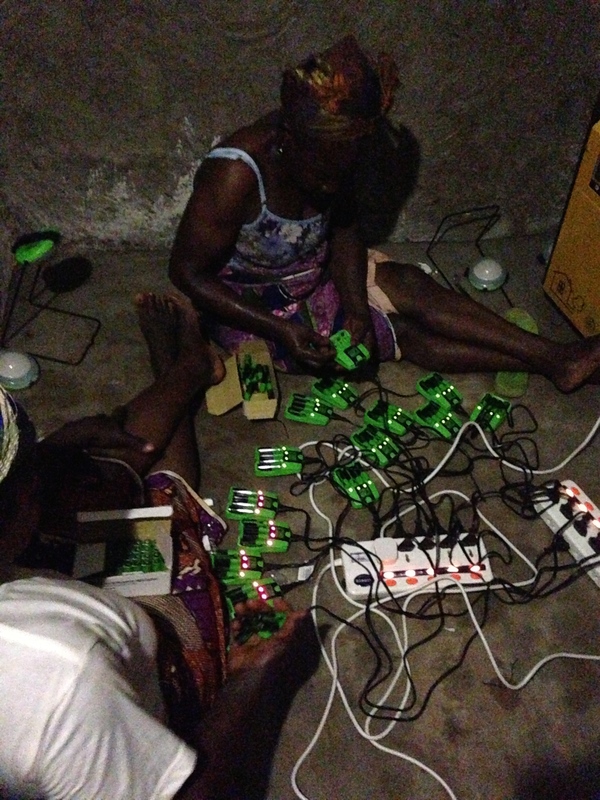 The remaining customers in Sakpalua totally understood and came back the next day to rent their batteries! After opening night, things continued to go well in Sakpalua. 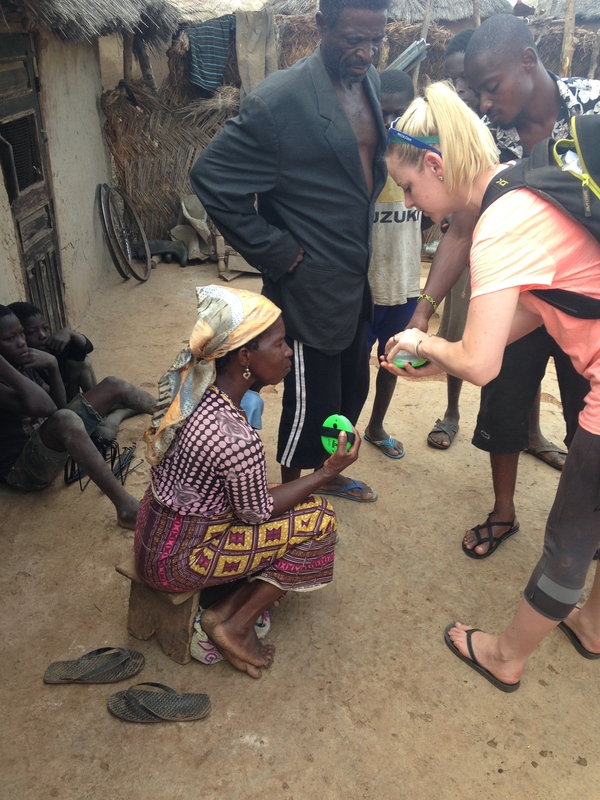 By the end of the first week, the ladies had charged over 60 cell phones and rented out over 140 batteries! 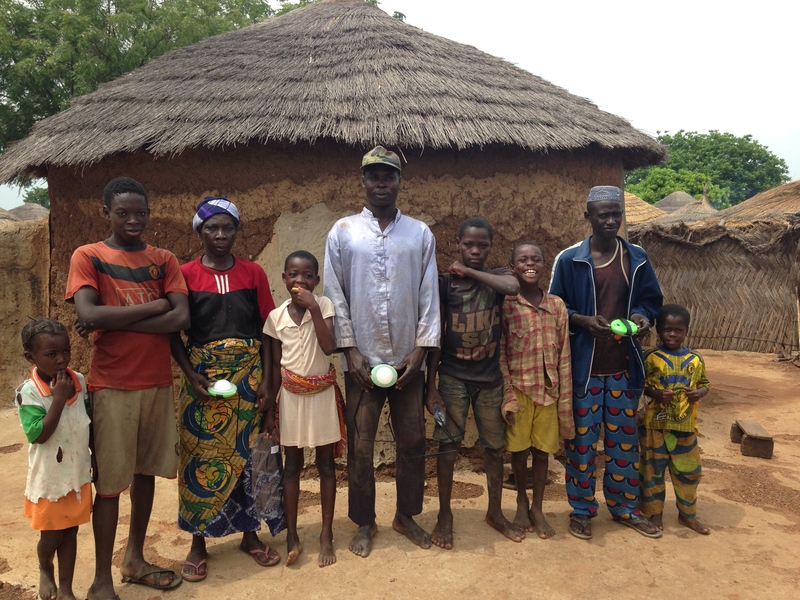 They also started buying lanterns from us at cost (16 GHC) and selling them for 18 GHC to families both in Sakpalua and in neighboring villages. 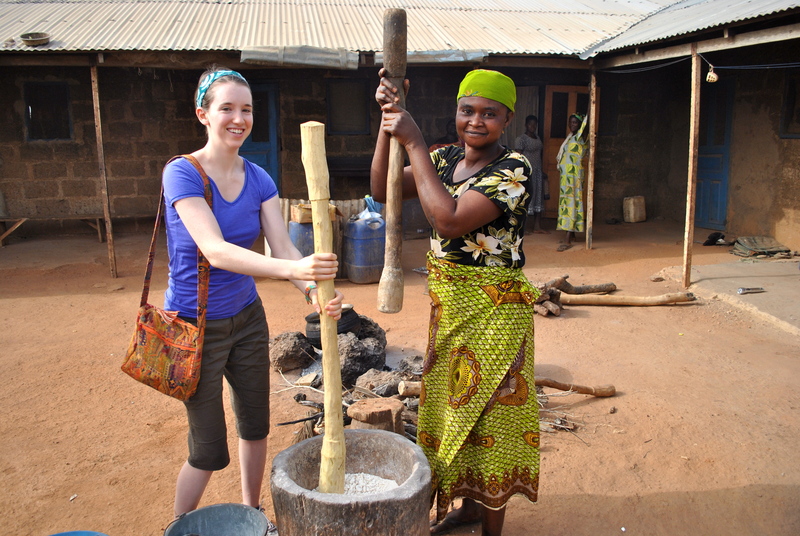 In that first week, the women had made a profit of over 50 GHC (~ 25 USD). 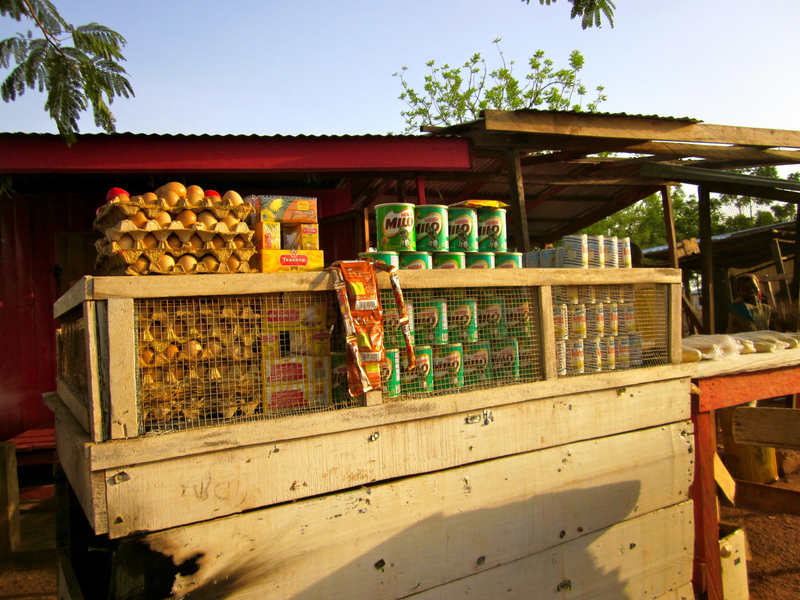 Considering that most families in Sakpalua live on less than 2 USD/day, that’s a pretty great first week of business! Damu by the water business in Sakpalua. Water sales are staying strong! 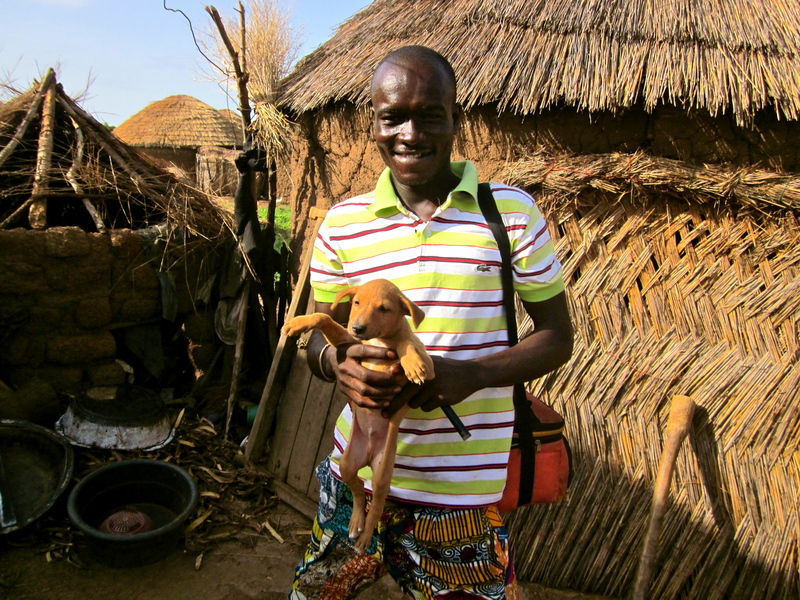 Damu and Lydia were planning their first water-training for Fuseina and Saramatu that night! We arrived in Chani to learn that the chief had recently died, and so instead of a small meeting with the elders, the community wanted to have a big community-wide meeting. It was great! 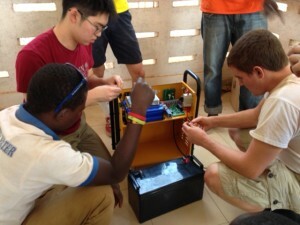 Sam, Wahab, and I explained the concept of the solar business and everyone was on board and excited. 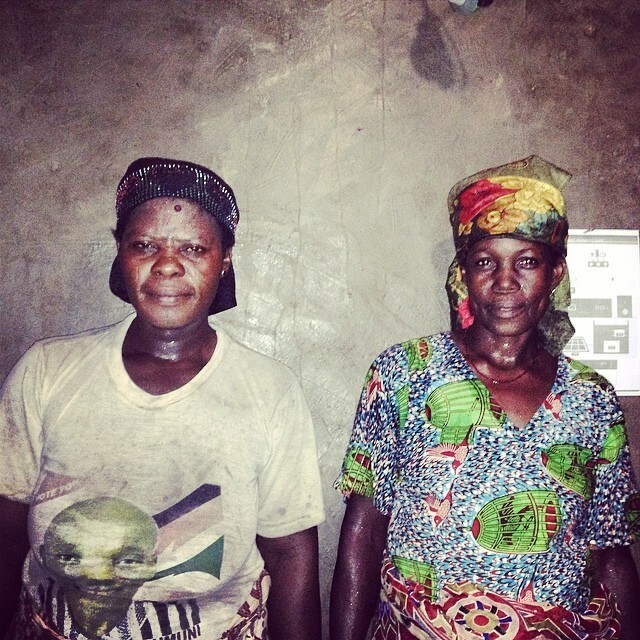 The village decided right away that they wanted Salamatu and Munera to run the solar business as well since they are the “most hardworking women in the community and know how to count well.” Done and done! 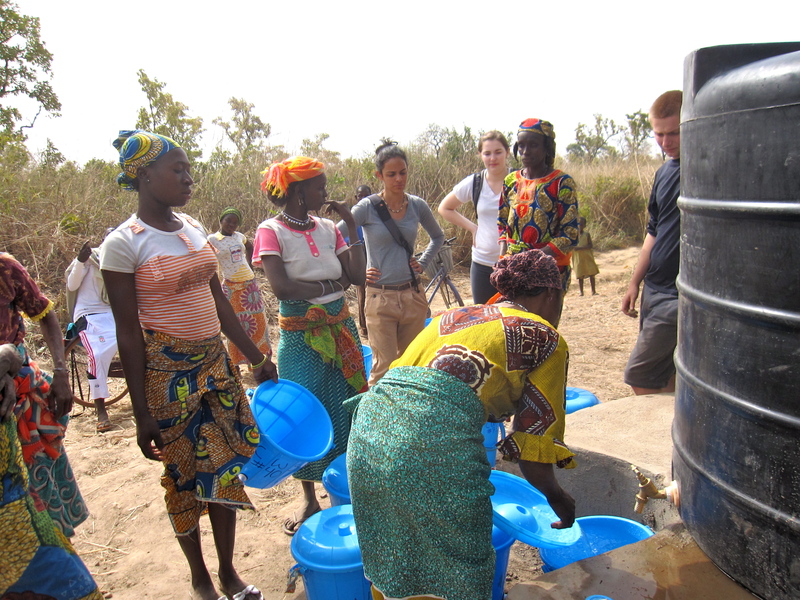 So far all 4 of our solar communities have chosen the water women to run the solar businesses too. It’s been very interesting to see that decision made! 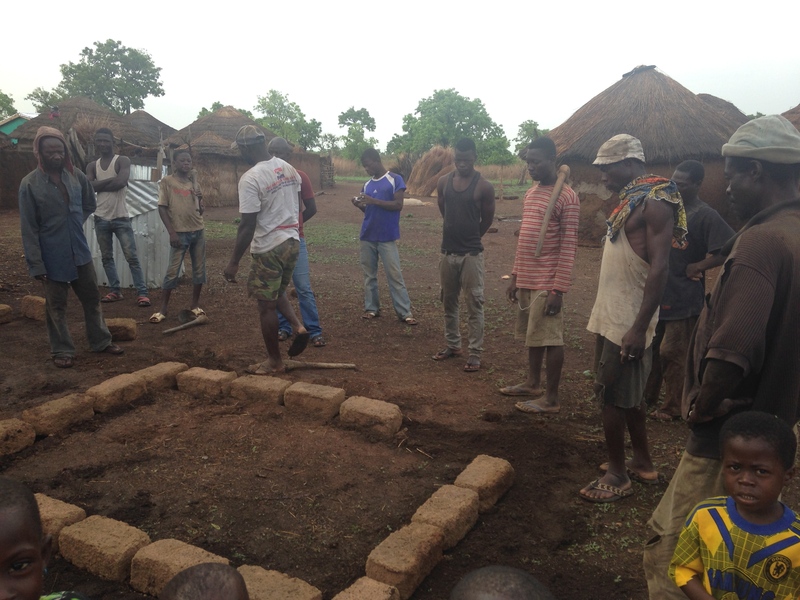 Building the solar charging center in Chani went very smoothly. 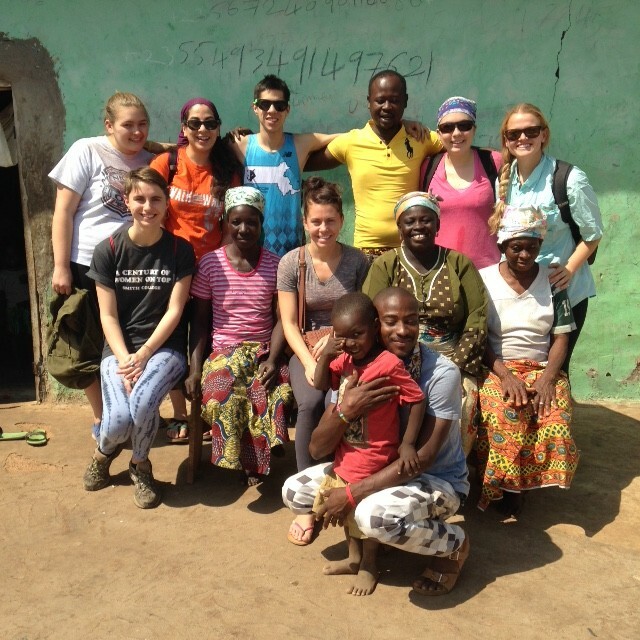 Both men and women from the community were very helpful. Not to toot our own horns, but Sam and I both agree that this is the nicest-looking solar center that CWS has built so far! 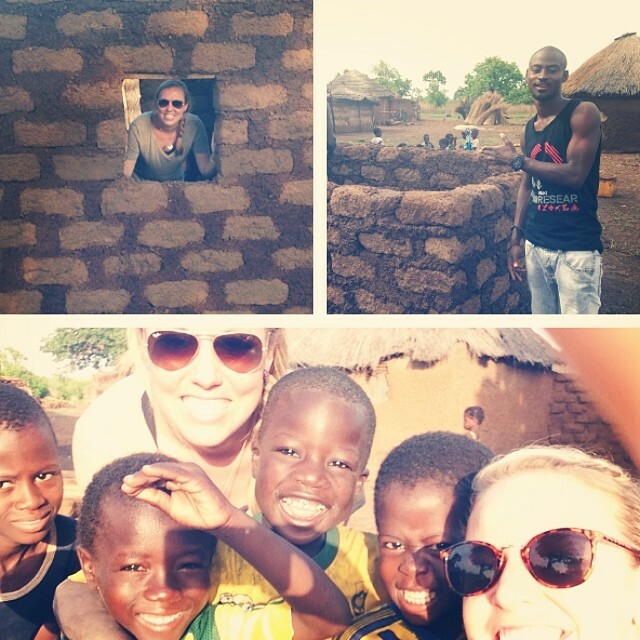 After the first day of building – see if you can spot some of these kids Lucy’s photo in the next paragraph! 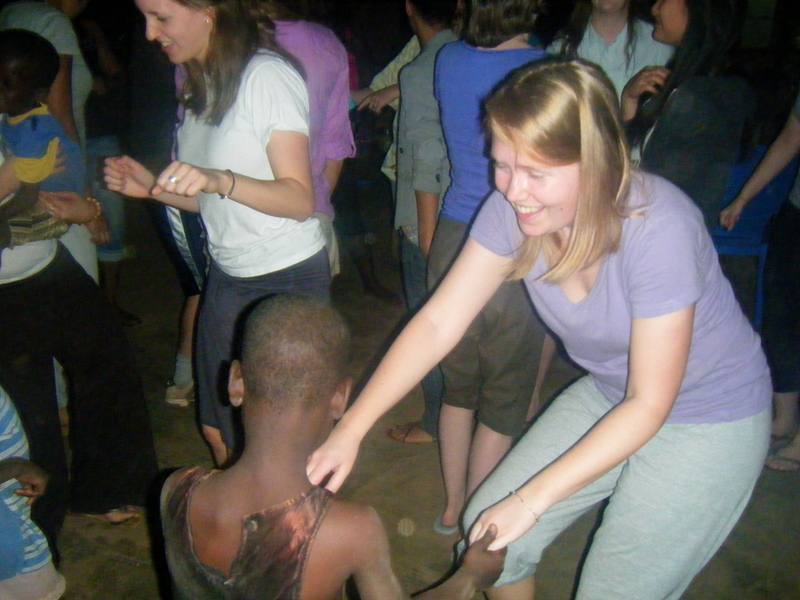 Even small children helped to plaster the building! 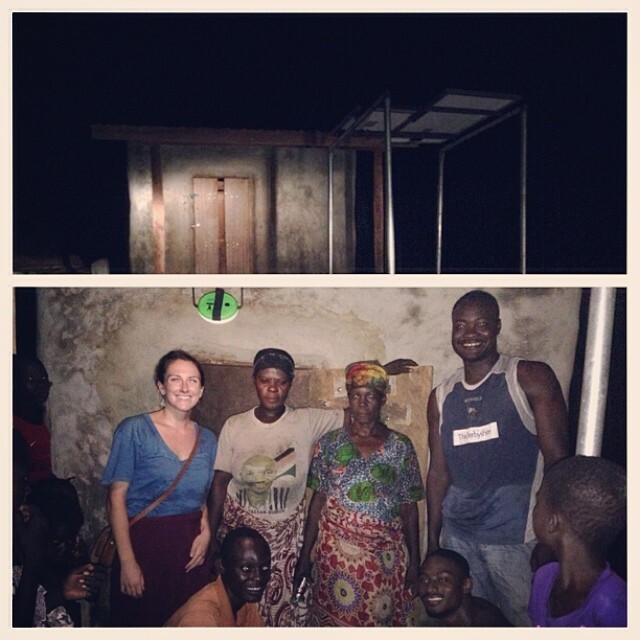 The finished solar charging center in Chani! What a beauty! 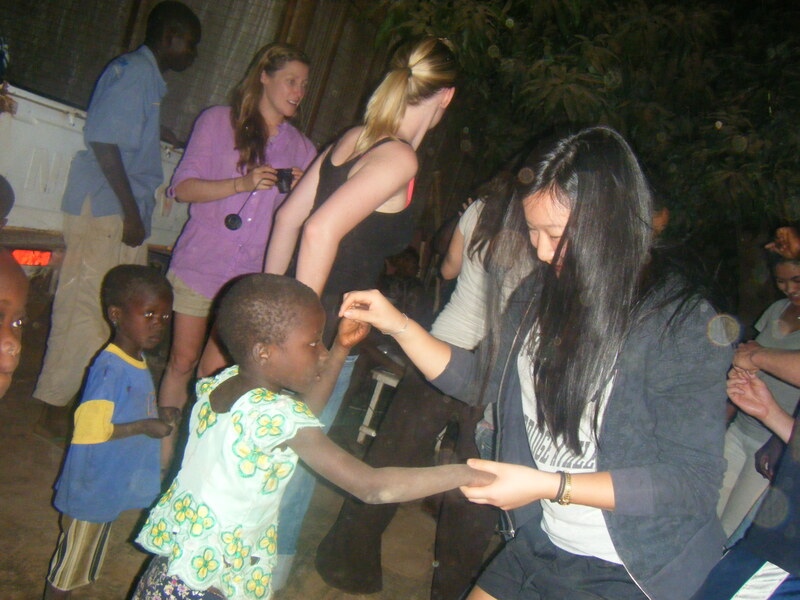 Training the women and distributing lanterns also went off without any hiccups. 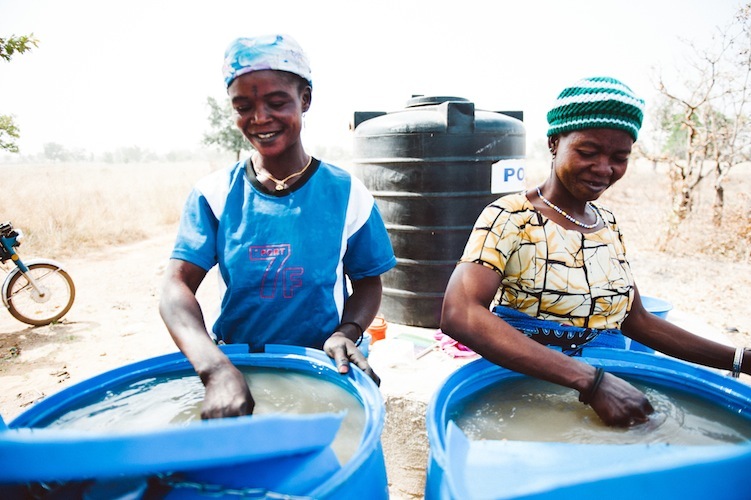 After 3 years of running the water business, Salamatu and Munera are very comfortable working together. They have a very funny dynamic! 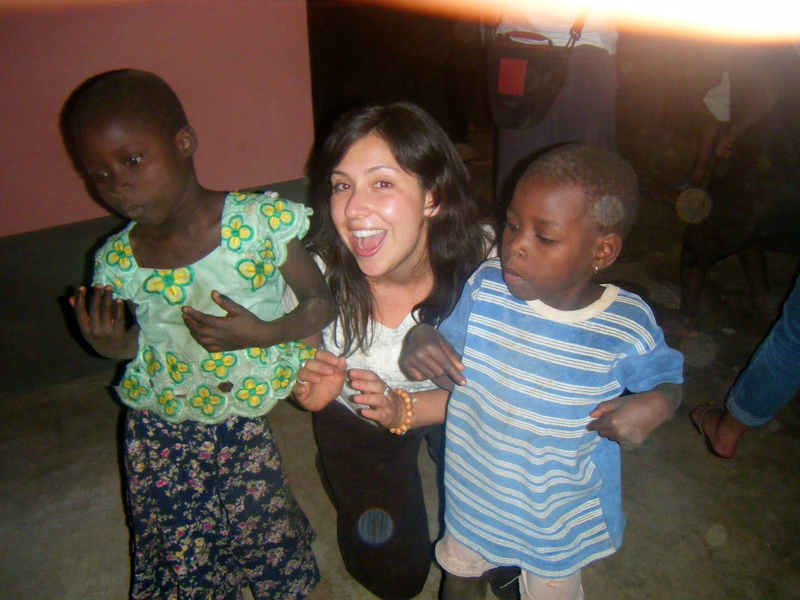 Sam and I had so much fun with the children in Chani. 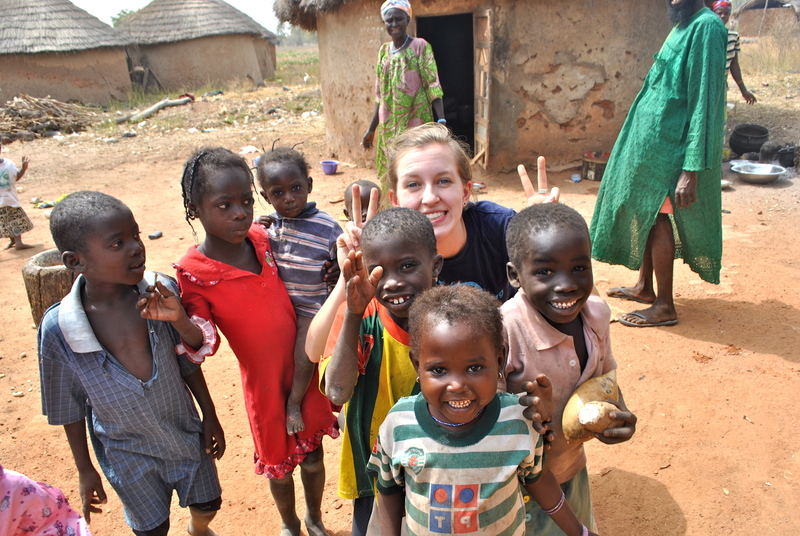 It was really cool to see the kids that Lucy had photographed 1.5 years ago. 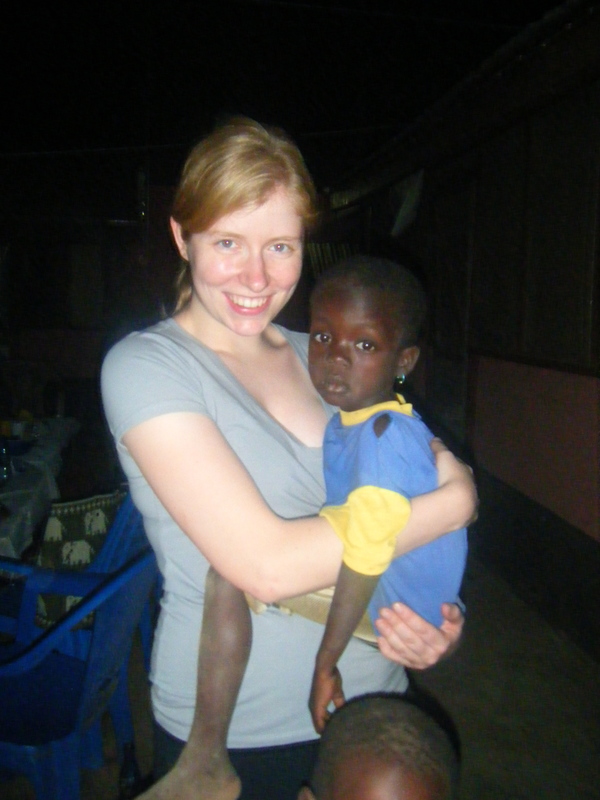 We have been using these pictures for all of our PR materials, so those little faces have been ingrained in our memories. It was amazing to see how everyone had grown up so much! 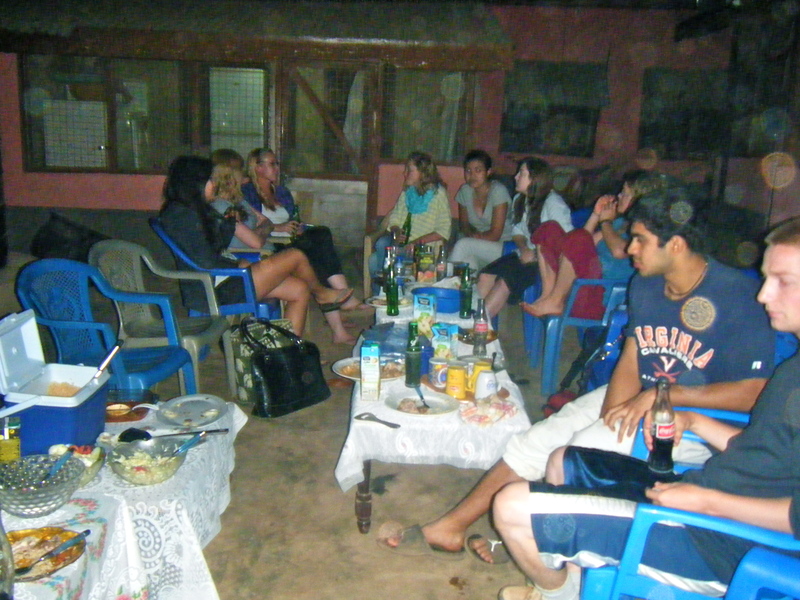 Lucy’s photo from Chani in January 2013 – Can you spot some familiar faces from the photo above with Sam and I? 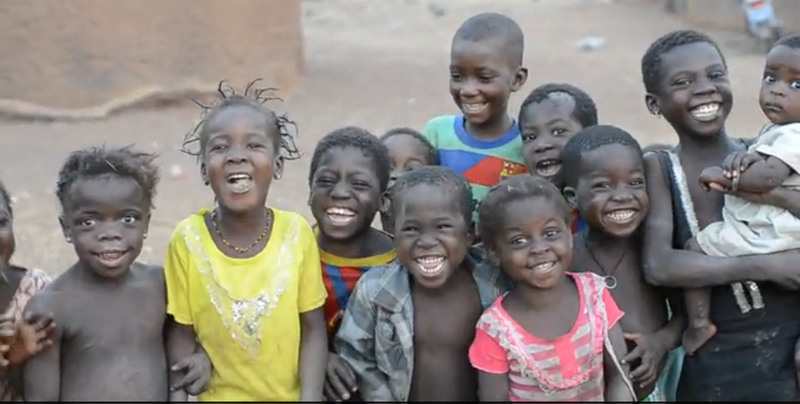 Kudus, Sadik, Wasila, Wahanna were just a few of the kiddos that we recognized right away! 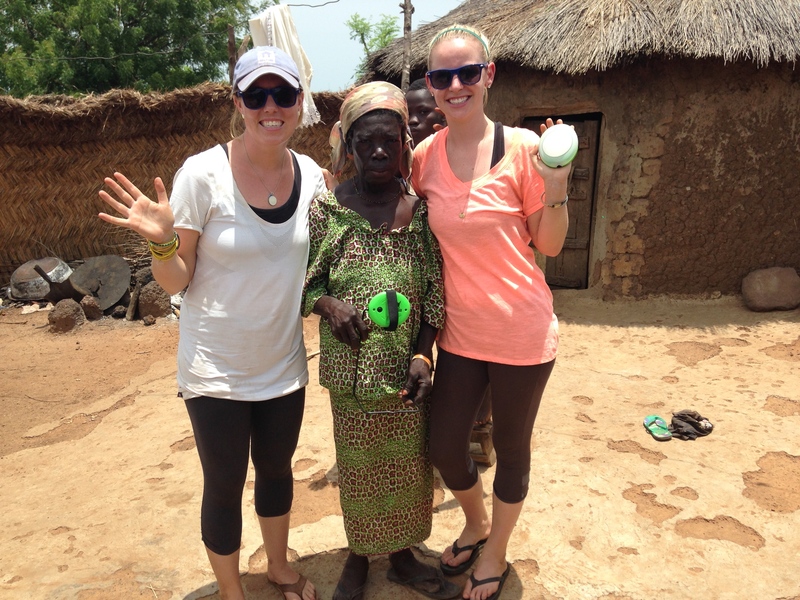 So excited to receive their lantern! After a very smooth implementation, we were very excited for opening night, which was scheduled for Saturday, April 19th. Unfortunately, when we rolled into the village that night, we hit our first major implementation roadblock: nothing was working! 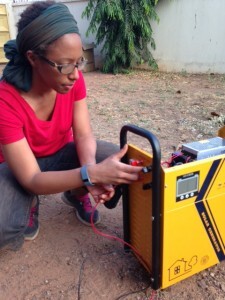 When we left Chani 4 hours earlier, the Genset was on, the sun was shining down on the solar panels, and all of the battery chargers were plugged in. 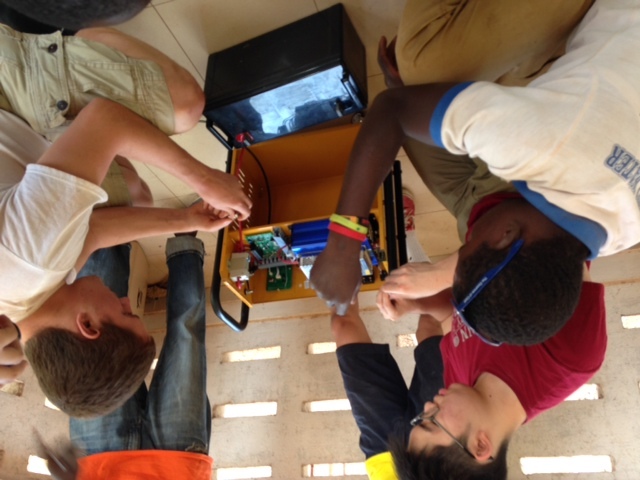 When we returned, the Genset was off, the chargers were off, and the batteries were not charged. 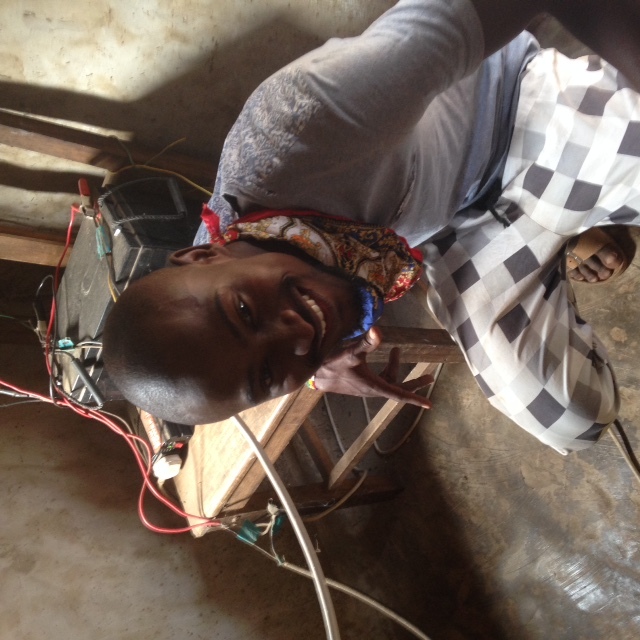 Shak, the electrician by nature and the most experienced with our solar charging stations, immediately got to work taking apart the system and investigating the problem. 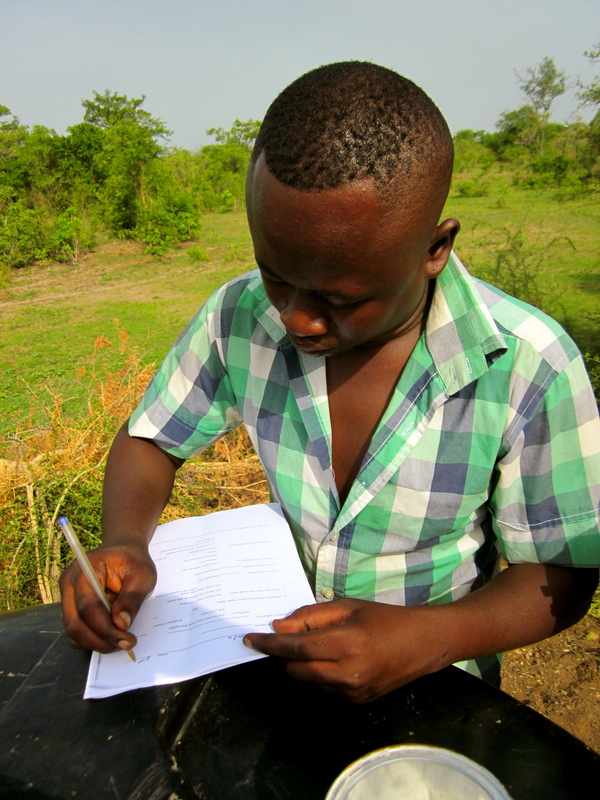 While he was doing that, I called up our partners at Burro, who we bought the Genset from. After about 30 minutes, we all realized that the problem was something major that would not be able to be fixed that night. 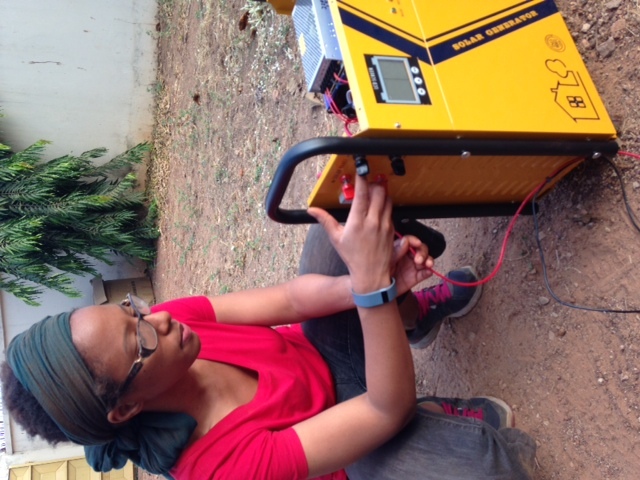 The problem with the Genset was very disappointing for a couple reasons. 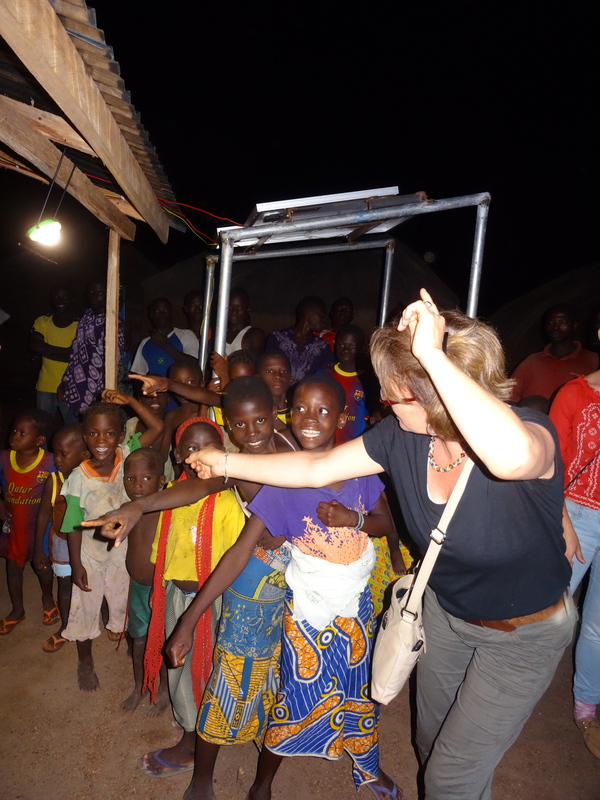 First and foremost, the entire village was out waiting for rent their batteries and charge their phones. 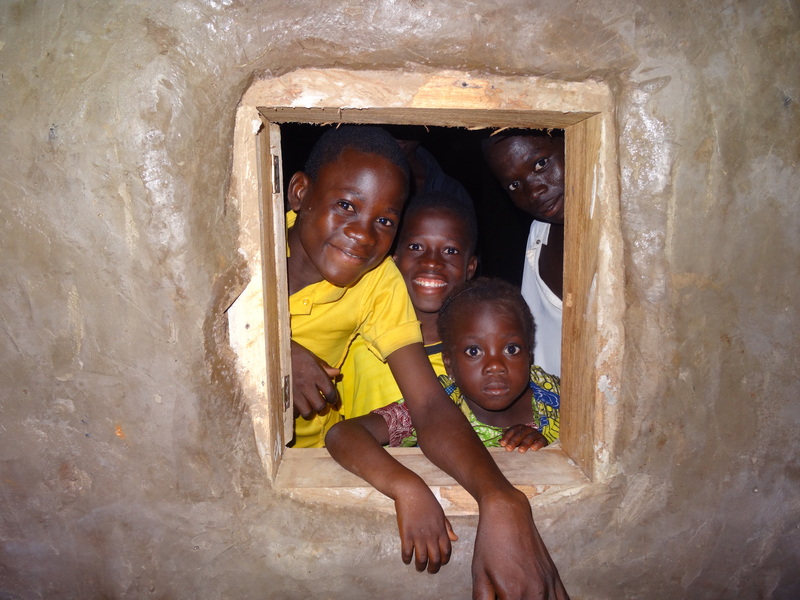 Chani had been wanting access to electricity for so long and it was so hard to tell them that they would have to wait, even though it would only be a few days. 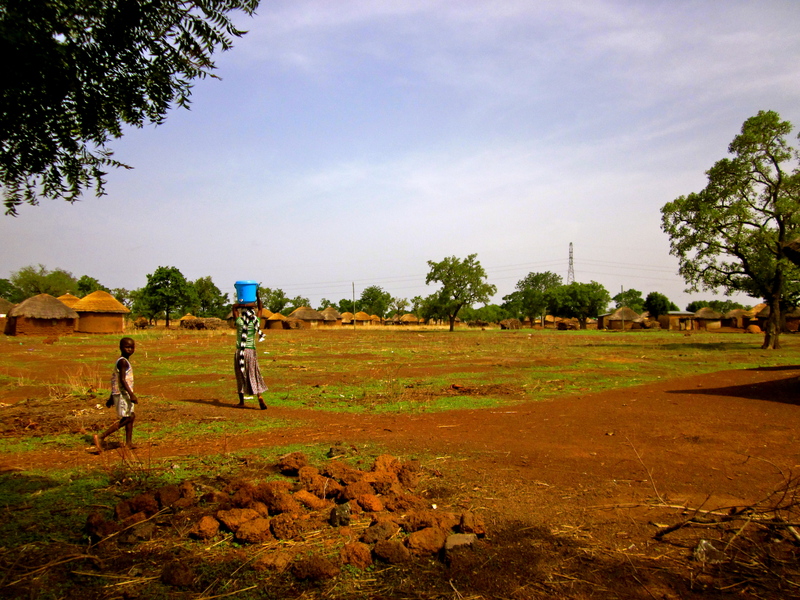 People in these communities are VERY used to foreign NGOs making big promises and never following through. 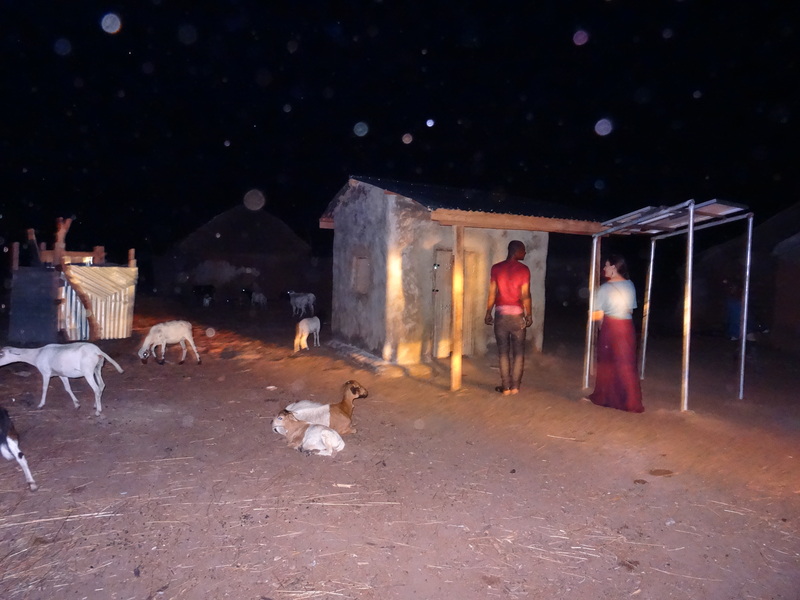 Even though we have worked with Chani for over 3 years, and they trust our partnership, it was still heartbreaking to pull away that night, with all of our equipment in-hand when we had promised electricity that night. The other reason this was particularly disappointing was that it was a holiday weekend, which meant that there was no way the Genet could get fixed before Sam and I had to leave for the States. In the grand scheme of things, opening night isn’t about us at all – it’s about Salamatu, Munera and the families in Chani. But, after 3 weeks of 4:45 am wakeup calls, without one day off, we were bummed to miss opening night. The reality is, things like this happen ALL of the time when you are working in development. 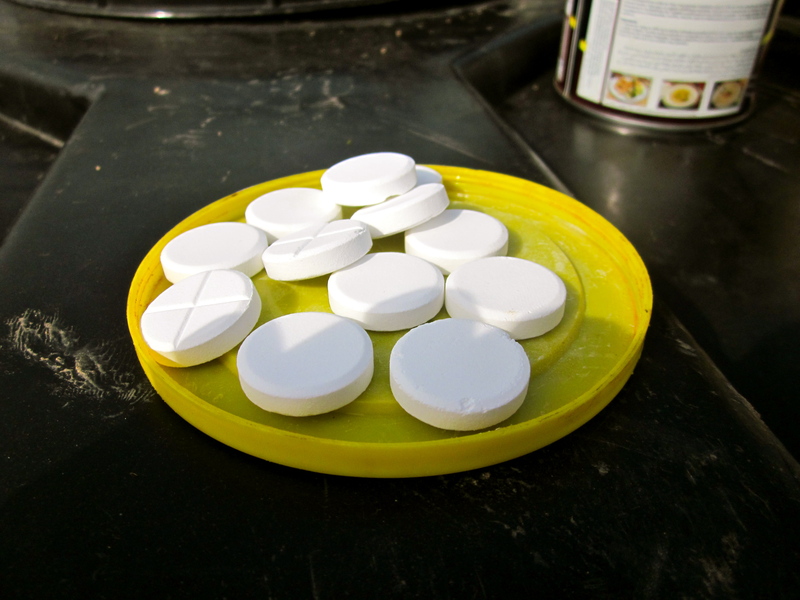 The fact that our other 3 previous pilot implementations had all gone smoothly is the exception, not the rule. 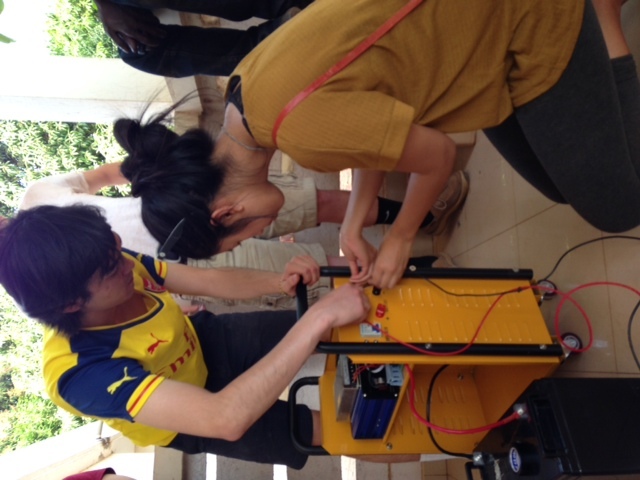 This problem in Chani gave our team some great experience in learning how to to deal with Genset issues. If this happens during a Fellowship Program, we will be prepared! Burro, was also great to work with and proved to be very committed to getting us a working Genset. 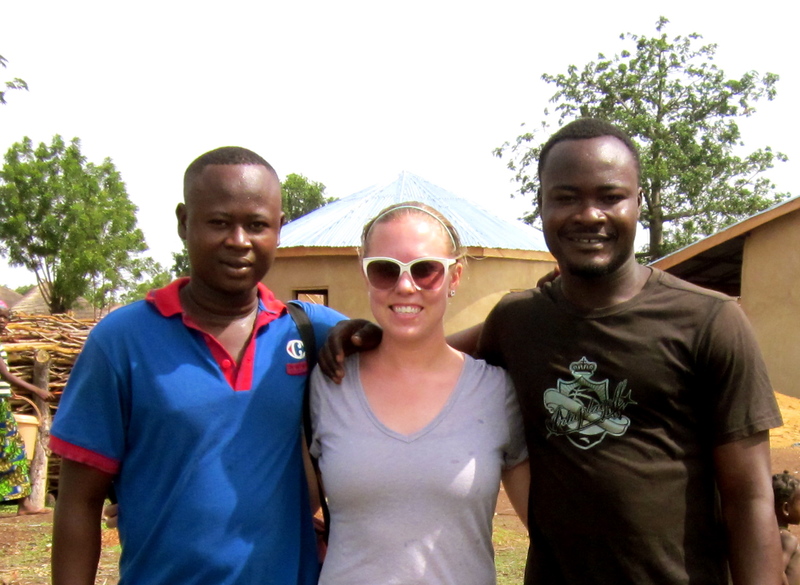 They were available to our team any time of day, despite their holiday weekend and one of their re-sellers in Tamale ended up being the guy to fix the problem. 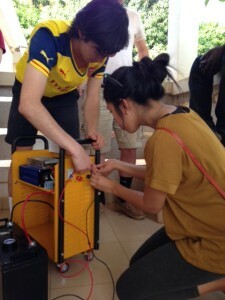 The issue ended up being a faulty inverter, which Burro replaced for us. 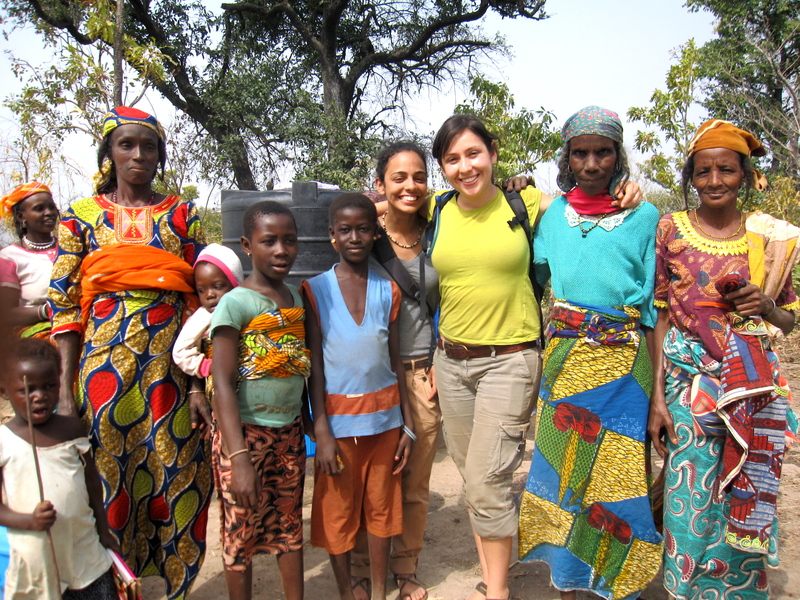 There was nothing that our team, or the ladies in Chani had done wrong in setting up the system – it was simply a bad part. 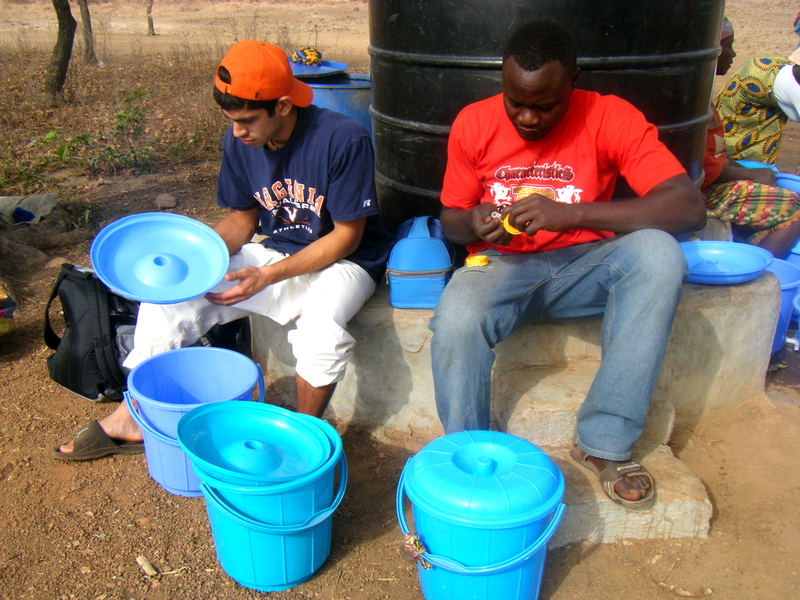 Shak and Wahab did a great job working with Burro and communicating with Chani. The following Wednesday, opening night part 2 went off without a hitch! 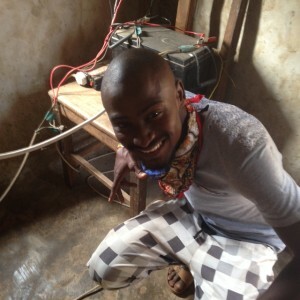 Every household in Chani rented batteries for their lanterns and some brought their cell phones as well. 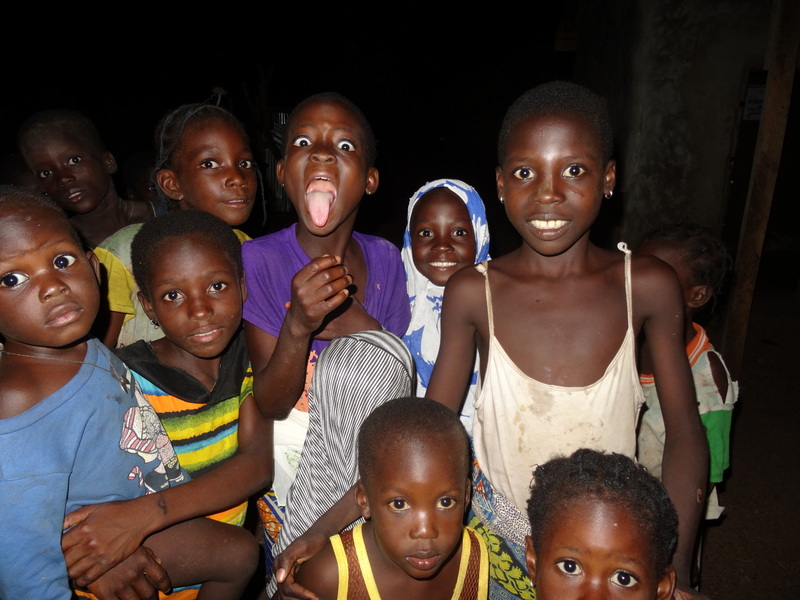 Salamatu and Munera were really excited and no one seemed upset that opening night was delayed. Brianan’s family was in town to visit her and they all got to come out for the opening – it was great to have such a big crowd there to celebrate! 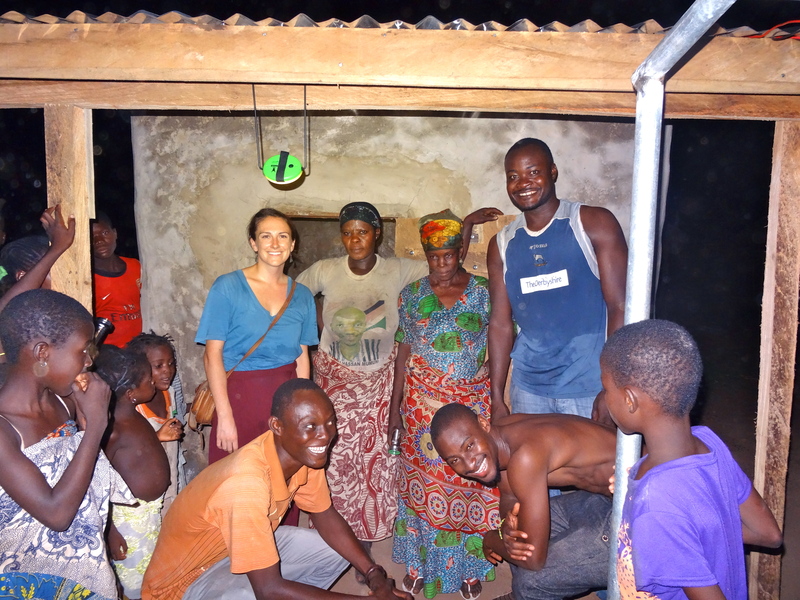 A BIG THANKS, again, to Next Step Living for funding the start-up cost of the solar businesses in Kurugu Vohoyili, Sakpalua, and Chani! 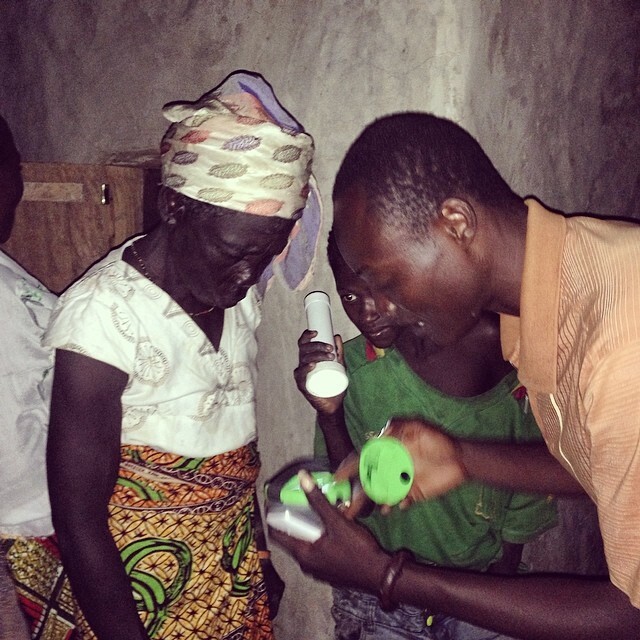 Eric showing a new customer how to put her rented batteries into the lantern. Munera and Salamatu after an awesome opening! These ladies are the best! 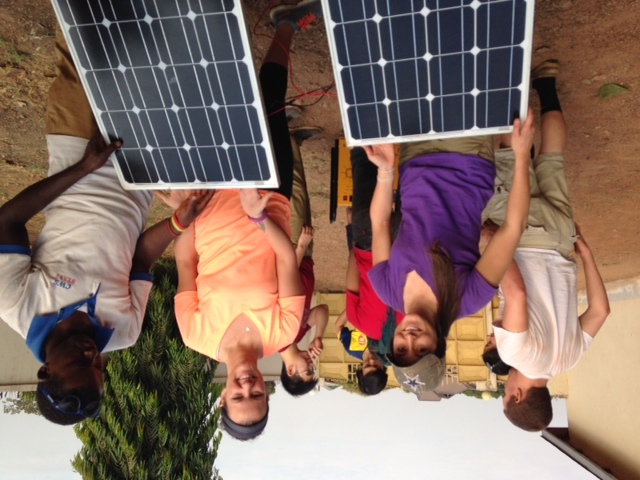 In 3 short weeks, Sam and I will be returning to Ghana with 46 water Fellows and our first-ever team of solar Fellows. 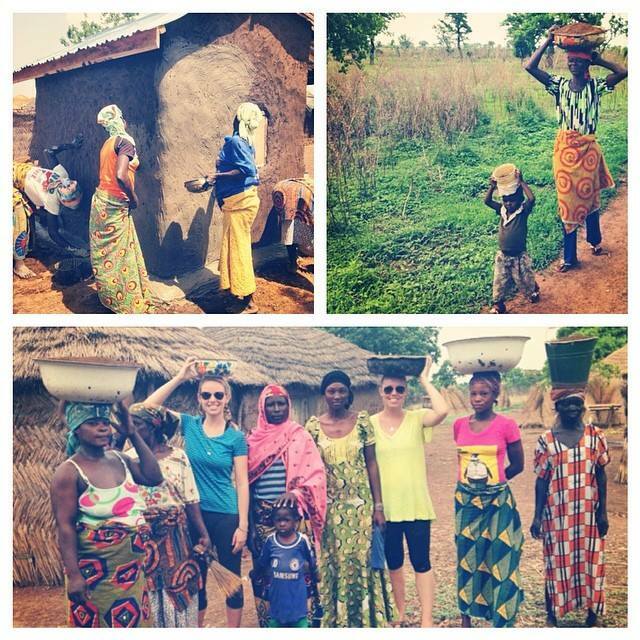 We can’t wait to get back to Tamale and run our biggest-ever Summer Fellowship! 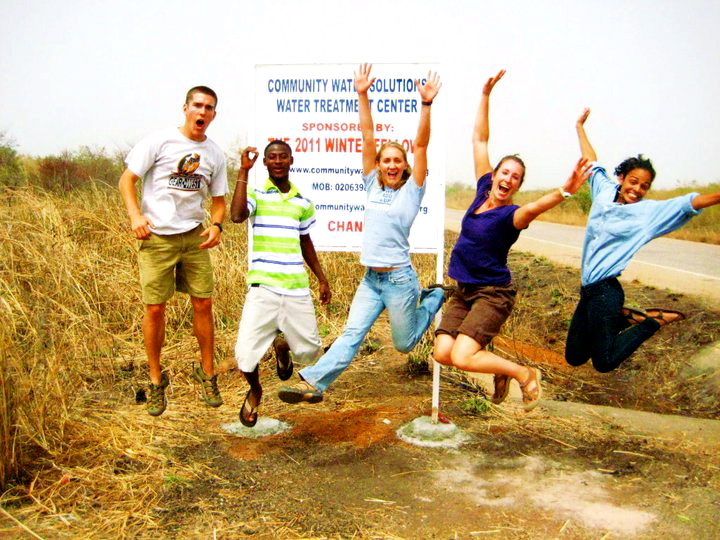 Community Water Solutions has some EXCITING NEWS…. 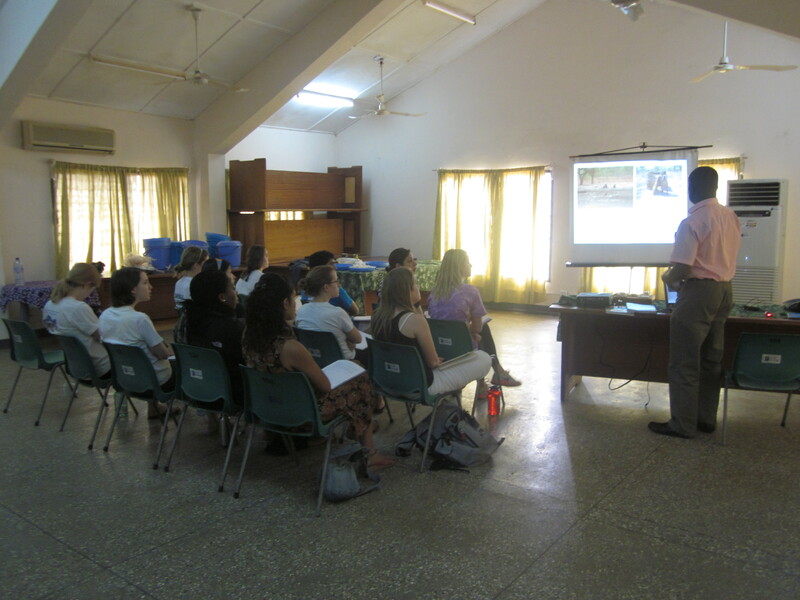 This morning we launched a crowdfunding campaign on Indiegogo in an effort to raise funds for our expansion in Ghana! 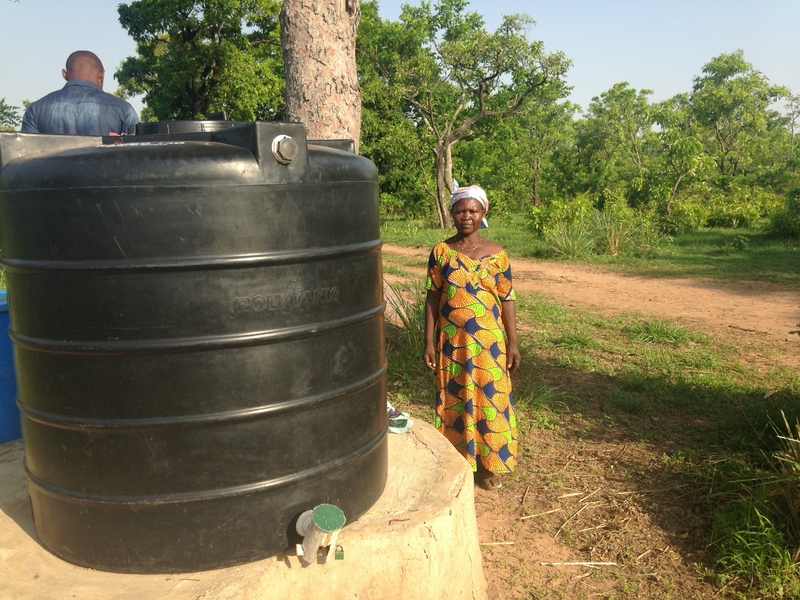 For more details, check out our beautiful new video featuring Salamatu, one of the woman entrepreneurs in Chani, and considering supporting our cause! 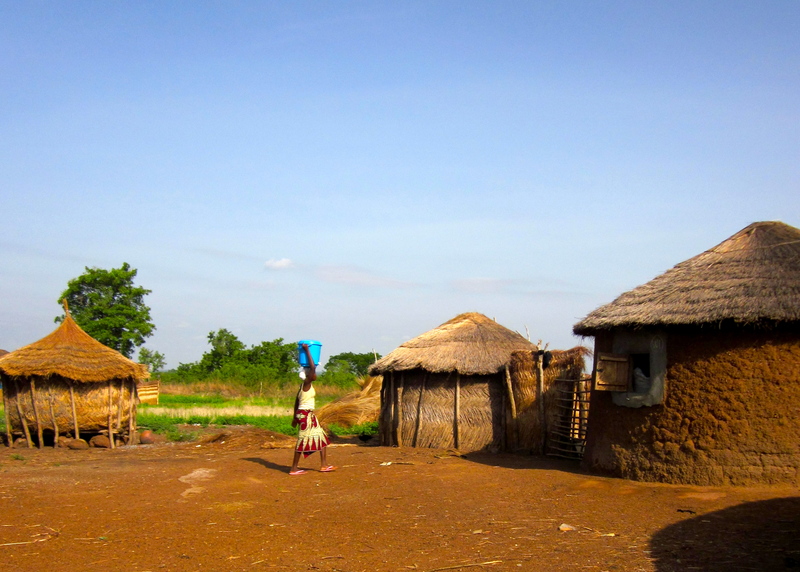 A HUGE thanks to Phil Wall for directing and producing Salamatu’s Story, Lucy Parker Randall for capturing such beautiful photographs and videos of our work in Ghana, and Pete Seibert for composing the most perfect score for this video! You guys rock our world! 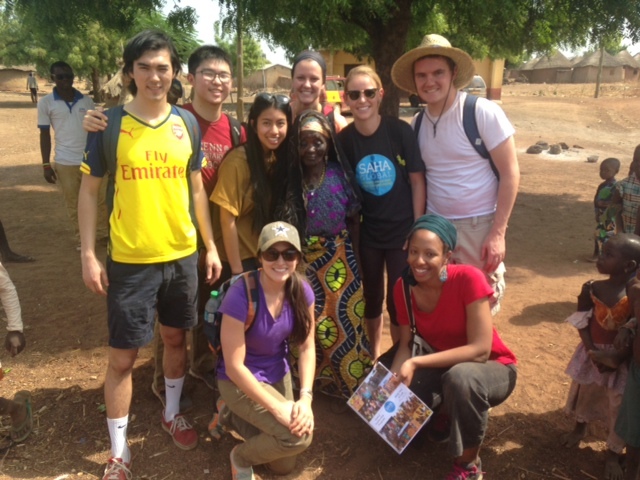 After a morning full of orientation the fellows were off for a scavenger hunt around Tamale! 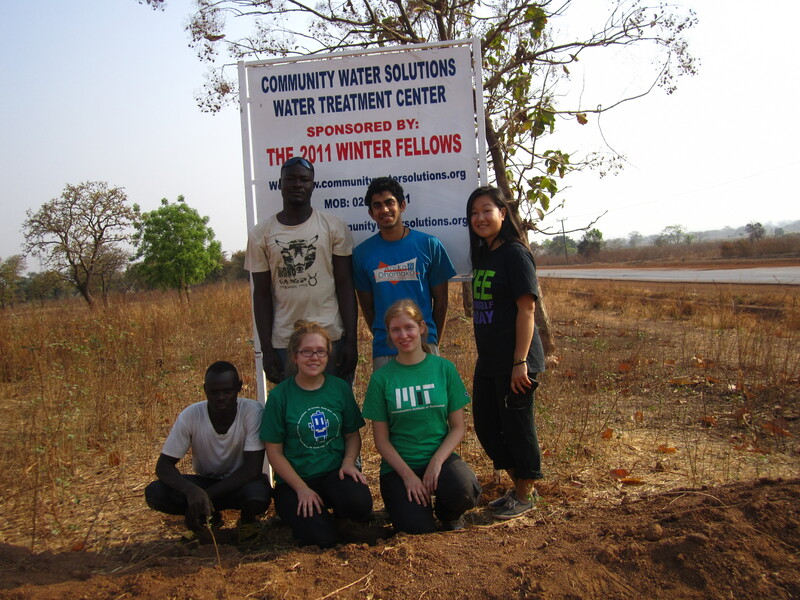 After a long journey up to Tamale, the fellows jumped right into orientation where they learned the nitty gritty about the global water crisis, water and disease, water interventions, and then finally about CWS! It was information packed morning with some great discussions. After lunch the fellows were sent off on a scavenger hunt around Tamale! No better way to get thrown into the hussle and bussle of the town! 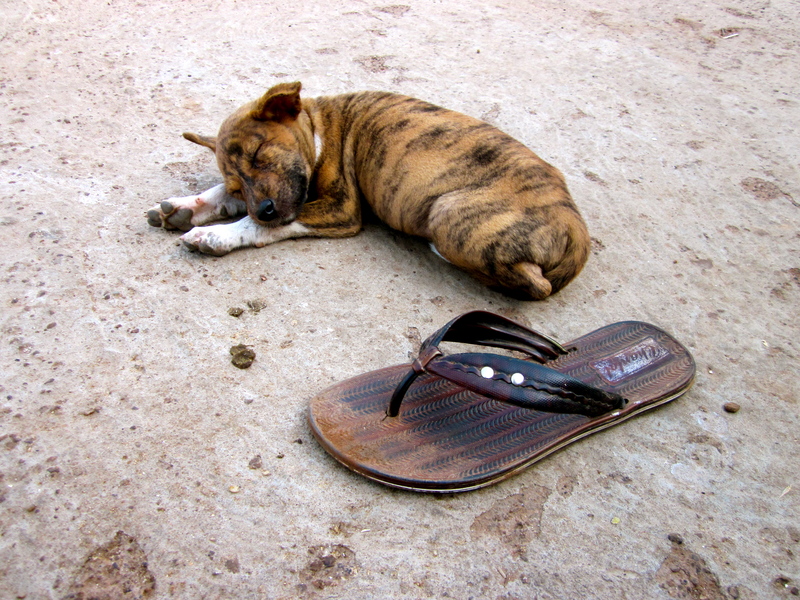 Two hours in the market, a collection of things and bundle of stories it was time to retire from the day! 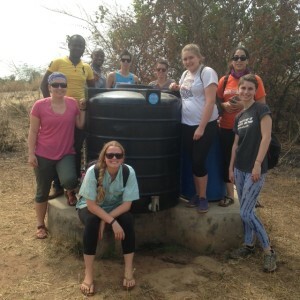 The next day held an adventure in the bush! 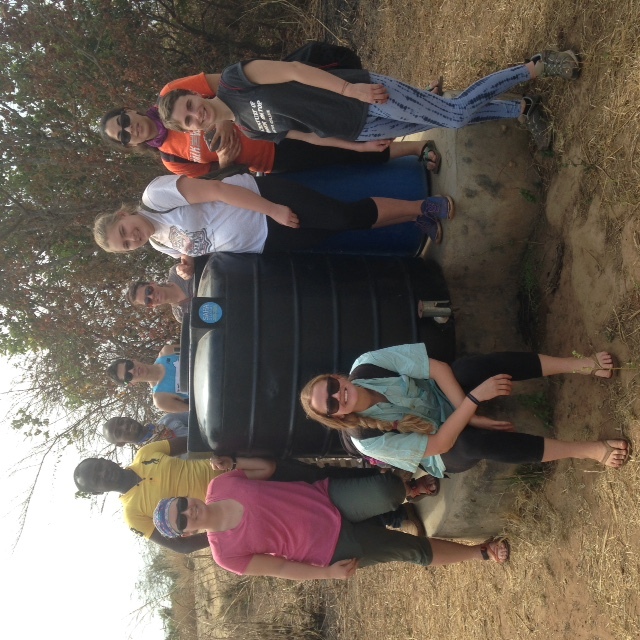 Our morning started off a bit delayed, but with lunches packed we were off for a full day to visit Chongashe and Chani’s water treatment centers! It was only a minute after our arrival in Chongashe that Chelsea started up a game with all the kids! 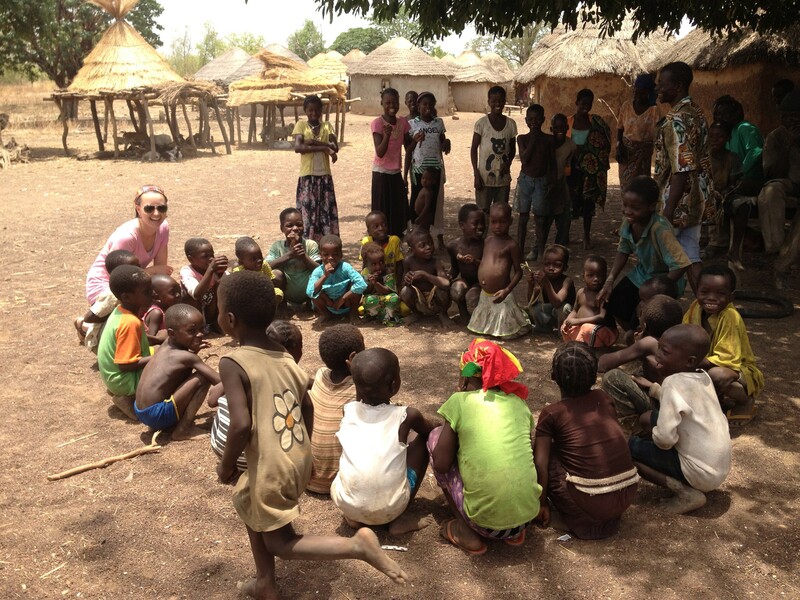 After some translation and help from Shak, Chelsea had a large group of kids playing Nu, Nu, Bong– Translated to English: Chicken, Chicken, Guinea Fowl a Ghanian rendition of Duck, Duck, Goose. 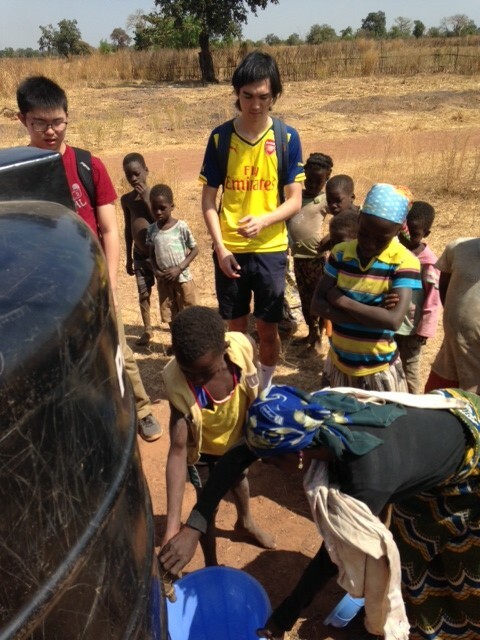 We then went to their dugout to collect water to do the fellow alum training the following day. 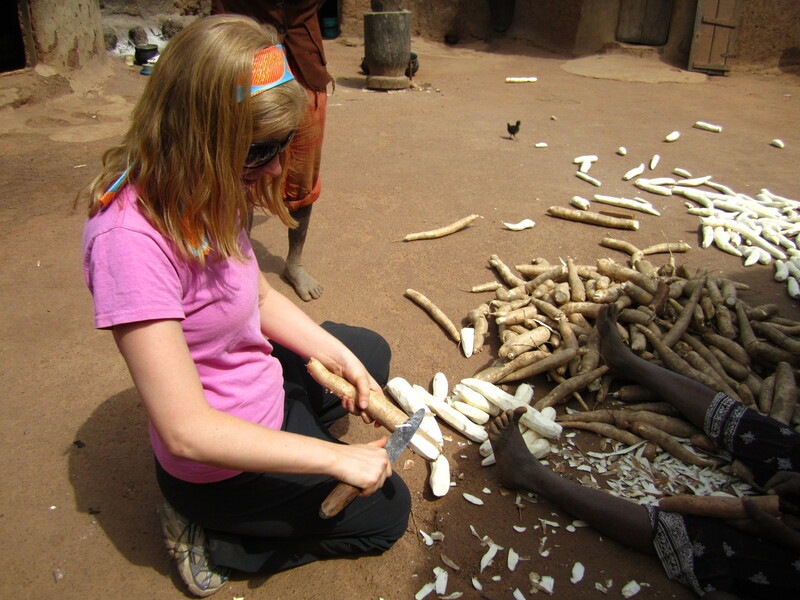 Next stop was Chani for a quick stop off for another dugout sample! 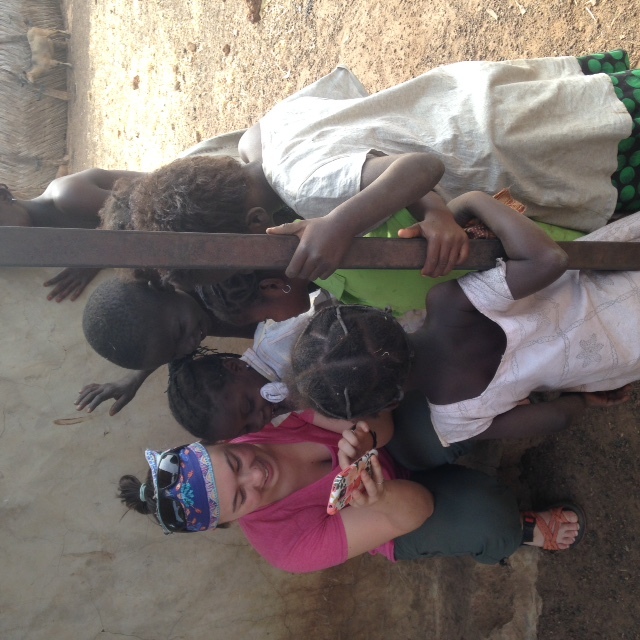 It was a long and hot day in the field but nice to get out and see CWS in action! 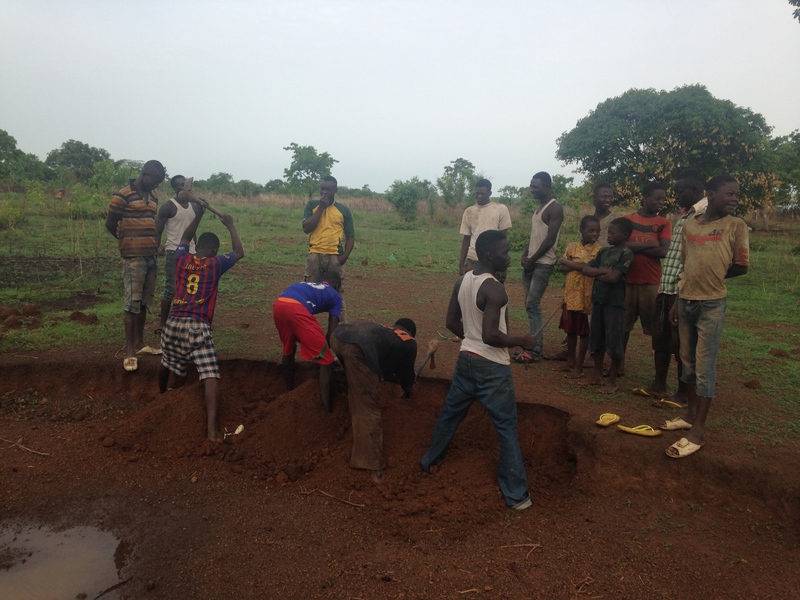 On Monday and Tuesday I shadowed Shak and TJ as they monitored Yipela, Zanzugu Yipela, Zanzugu and Wambong. All four villages were doing great! 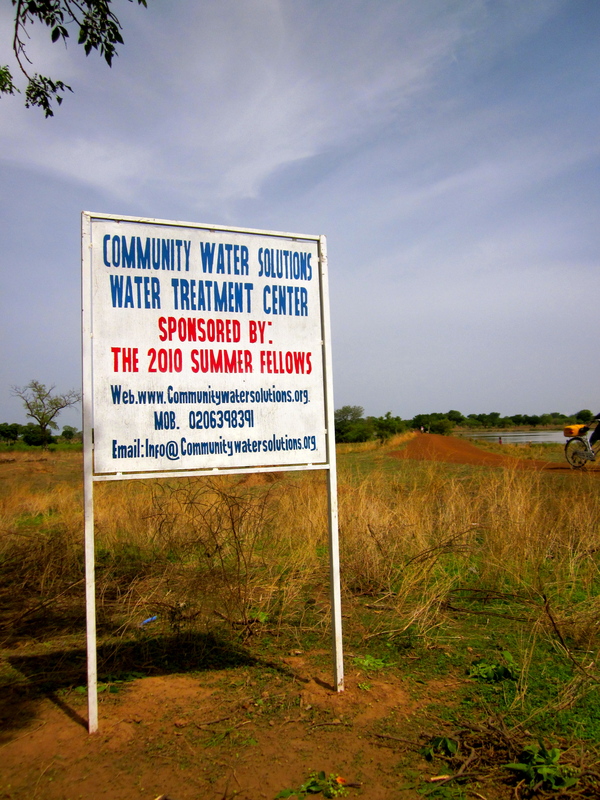 It was so awesome to see the water treatment centers running smoothly! Saramatu bought some aquatabs since she was running low. TJ did an awesome job taking notes on the CWS monitoring sheets. 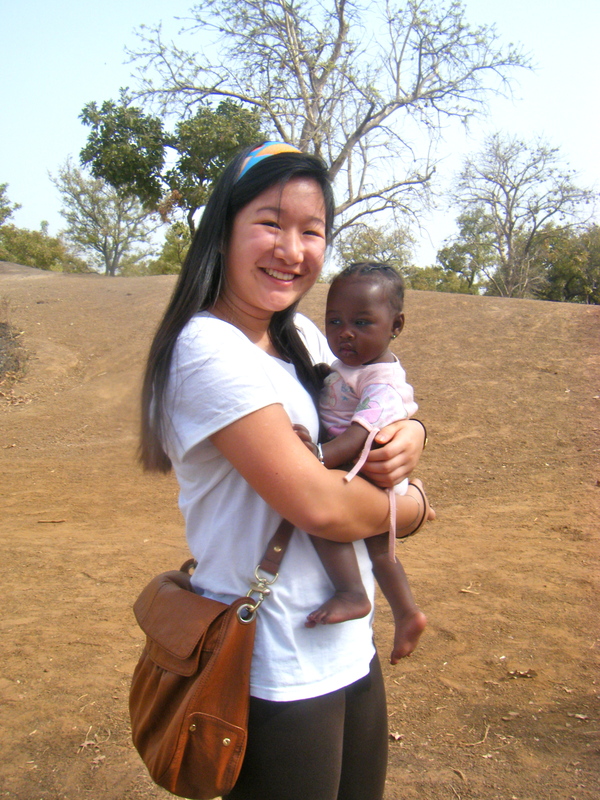 Then we stopped by Wambong to see Chang-Chang. 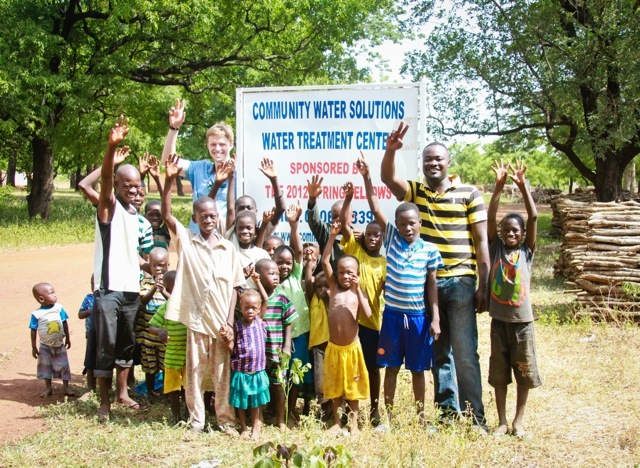 As you can see, the water treatment center was packed! 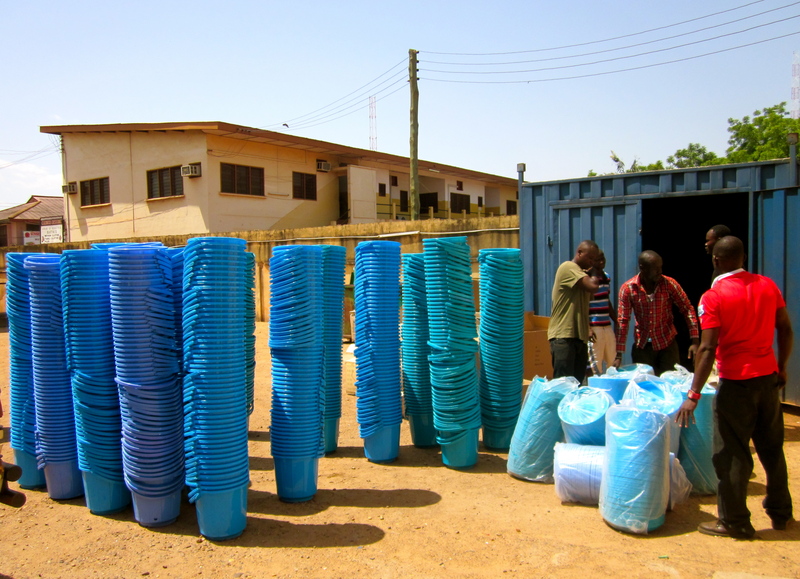 It was so great to see all of those blue buckets on just a random Monday! 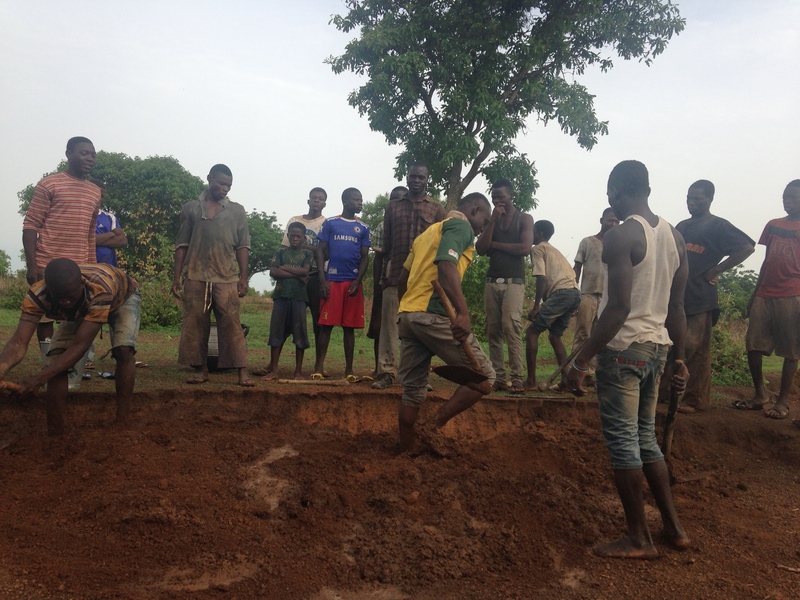 In Zanzugu, Azara had TJ and Shak move the water treatment center to the center of town for the rainy season because they have a couple of hand-dug wells that fill with water during the rains. 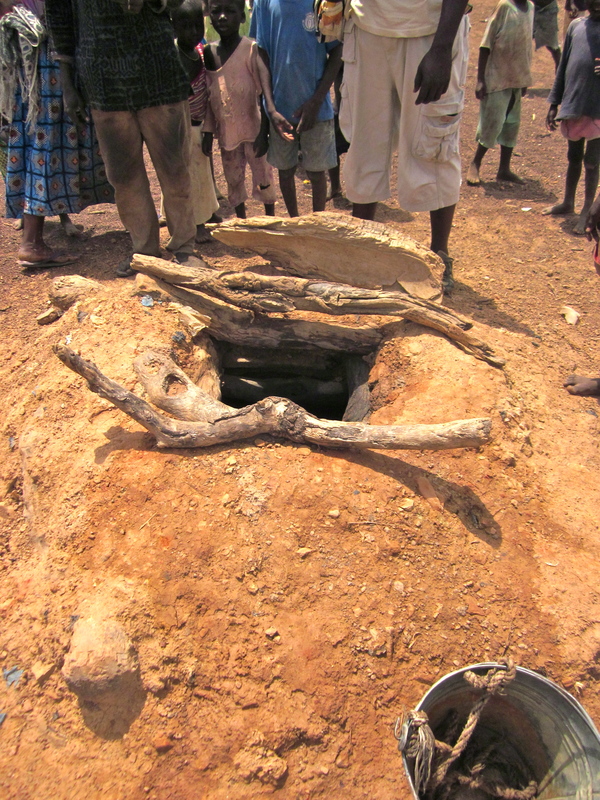 This is one of the dug-wells. 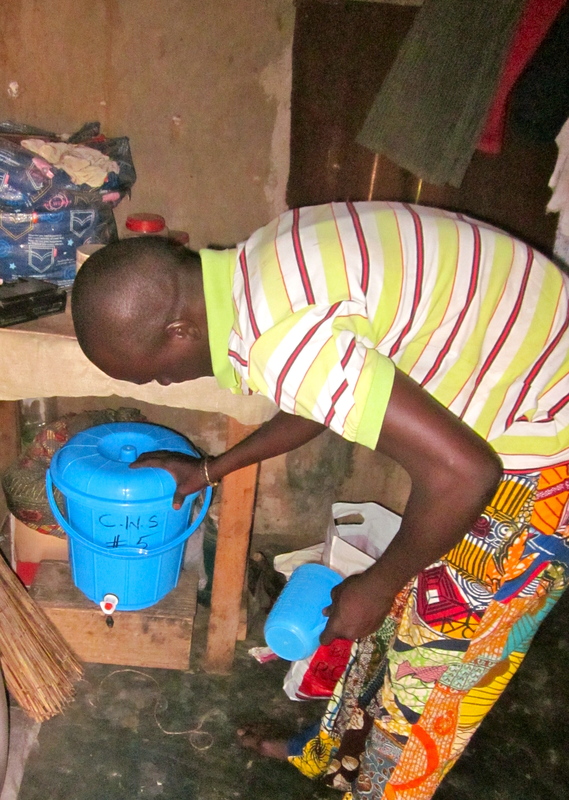 The water is still very turbid and fecally contaminated, so it still needs to be treated, but its easier for the village to fetch from the water treatment center when its close to the center of town. So far the new system is working well! 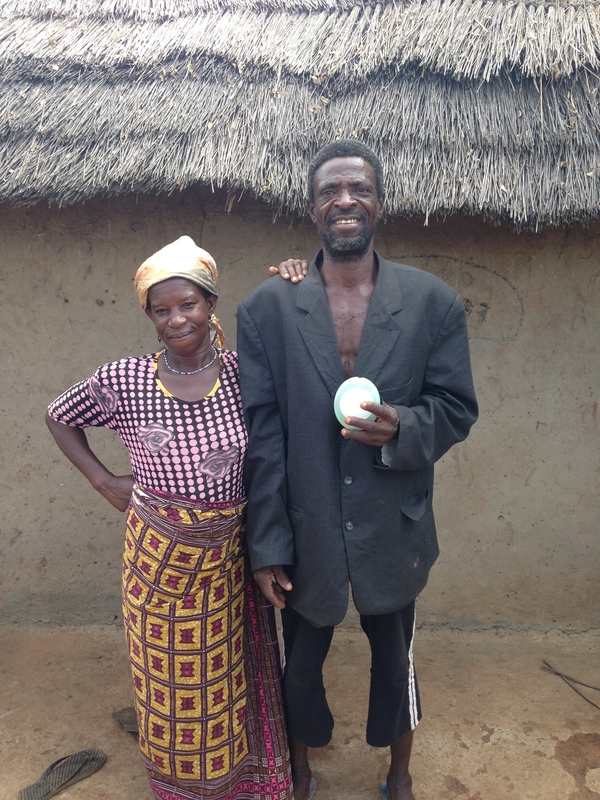 On Tuesday, we went back to Zanzugu Yipela and did a few household visits. 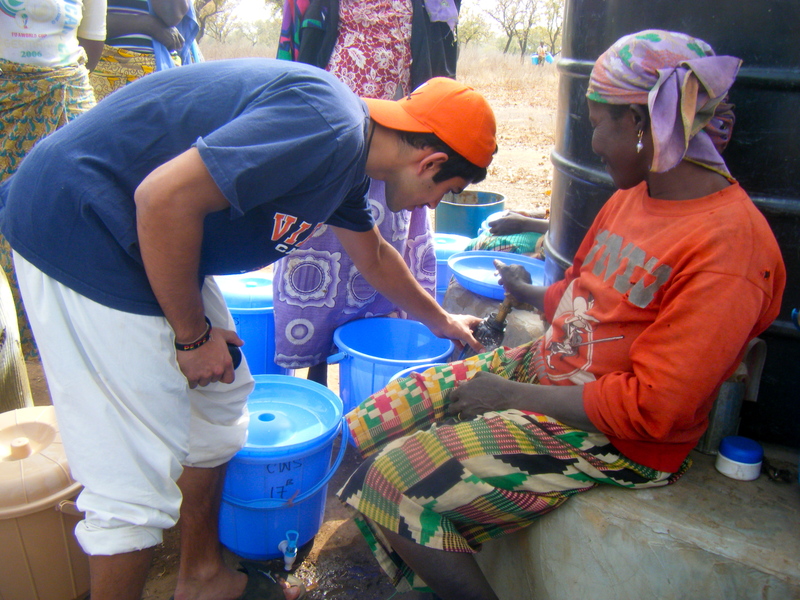 Here are TJ and Shak taking a sample and speaking with a woman from the community about her water. 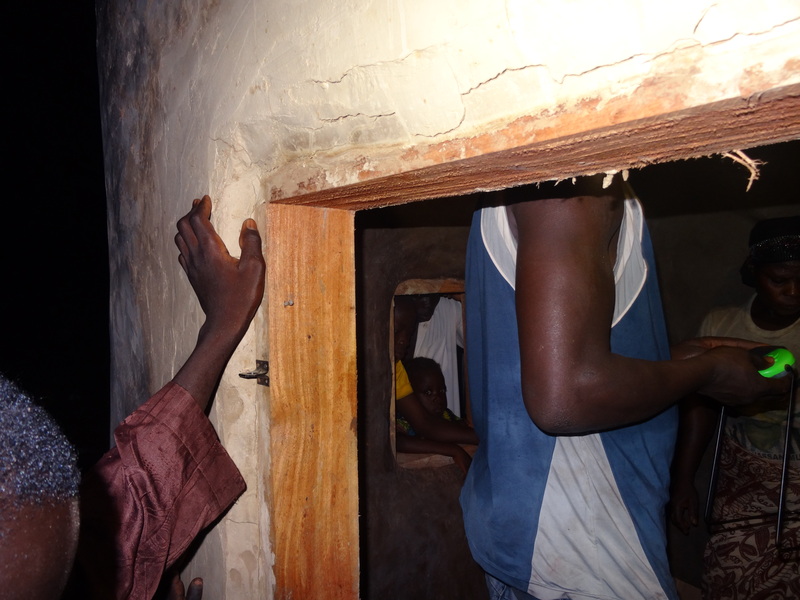 On Wednesday, I headed down the Salaga Rd to check up on Chani, Jarigu and Cheko with Peter and Wahab. 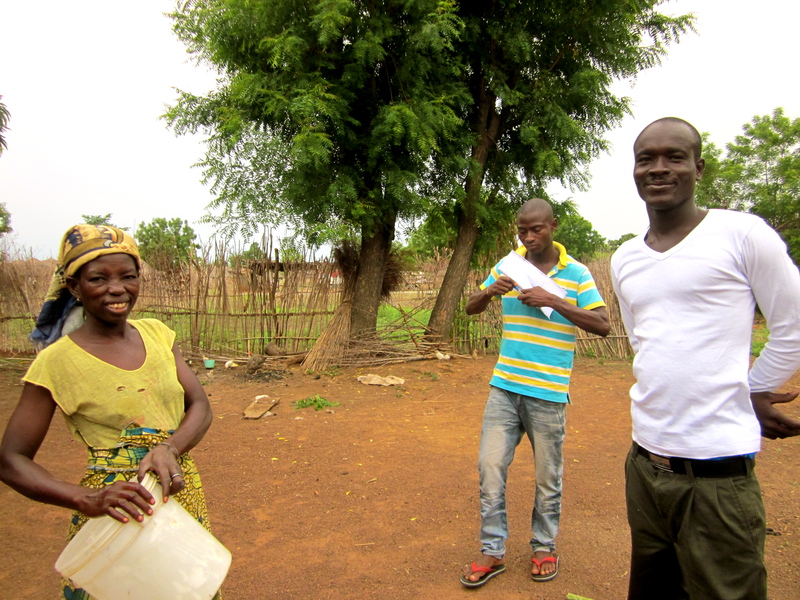 Here are Peter and Wahab talking with Alhassan's wife (who has recently started helping her husband run the water business), in Jargiu. On Thursday, we spent the morning in Cheko training a new translator (more on that to come later!) and then spent the afternoon lugging 1,000 safe storage containers from Melcom to our office! 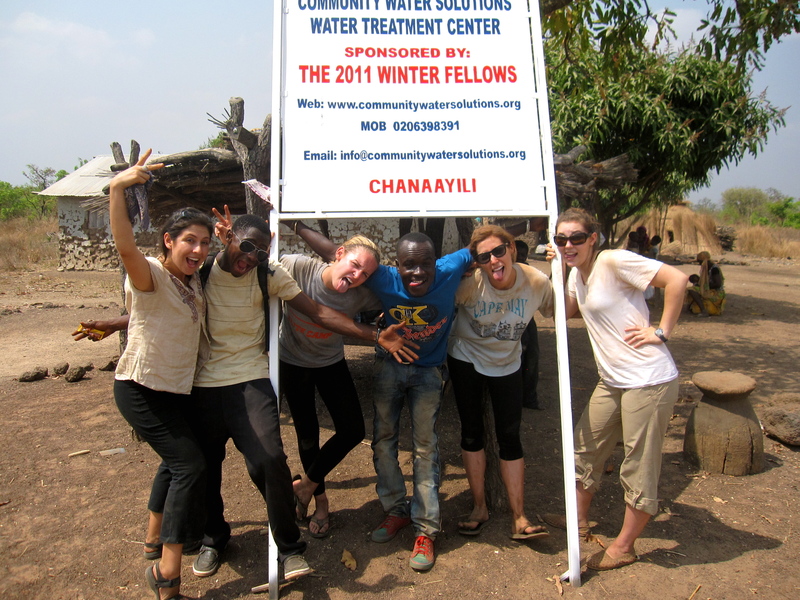 2011 Summer Fellows, we are now ready for you! Today was my first day back in the field since I was here in January. 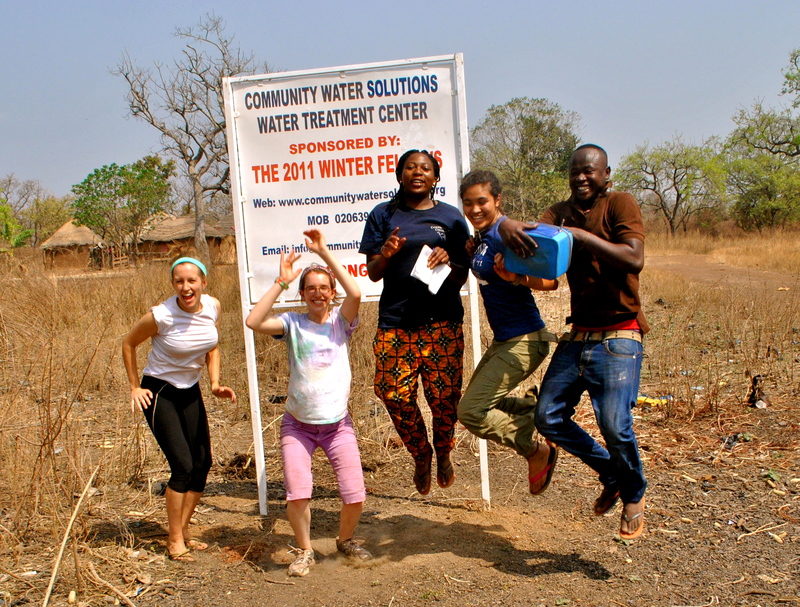 Peter, Shak, TJ and Wahab have been doing an awesome job monitoring all of the CWS villages over the past couple of months, and I was excited to go check things out for myself. 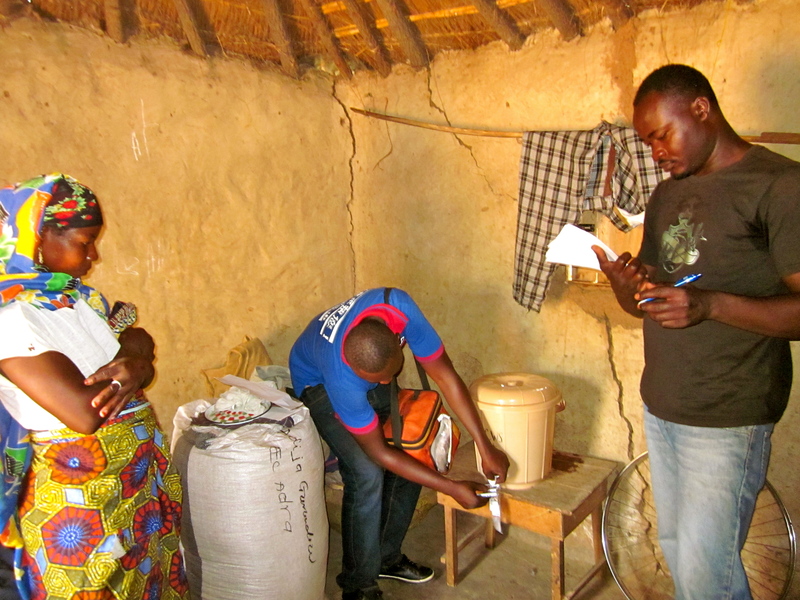 This morning, I shadowed Peter and Wahab as they did household visits in Chani. 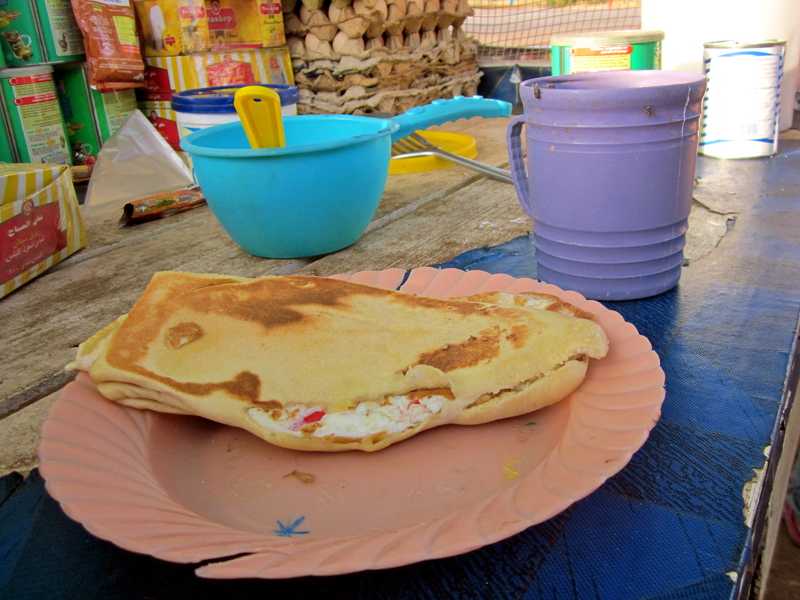 We started off the day with my favorite Ghanaian breakfast, eggs and bread (and nescafe)! 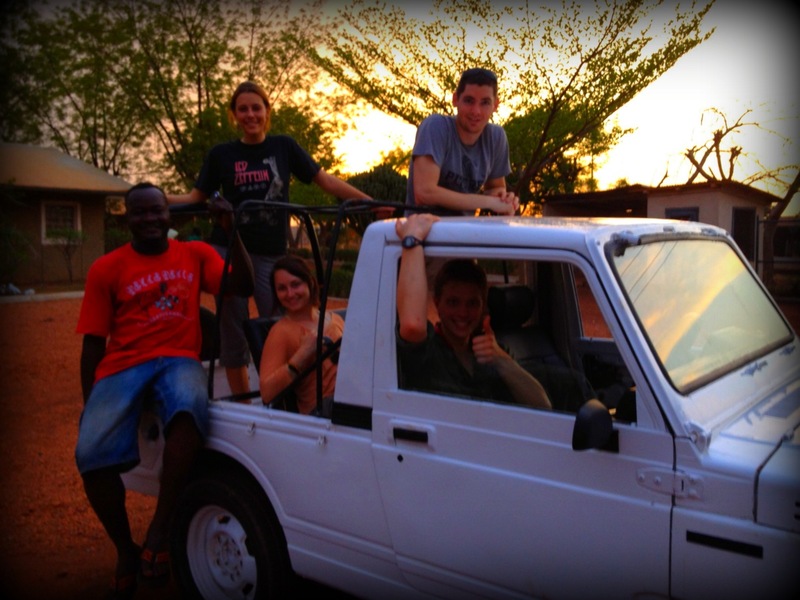 Then we hit the road to Chani! I was happy to see that everything at Chani has been going extremely well! 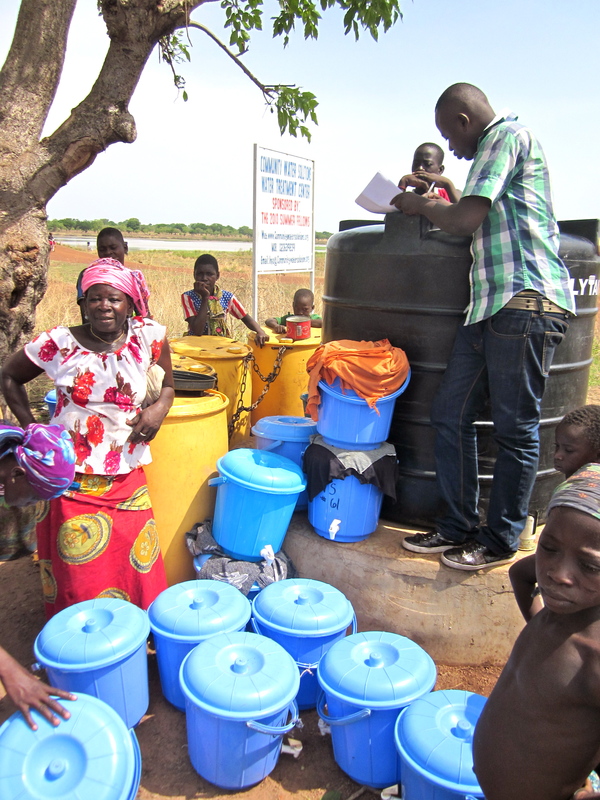 That morning, about 10 people came to fetch water, and almost every household that we visited had clean water in their safe storage containers. 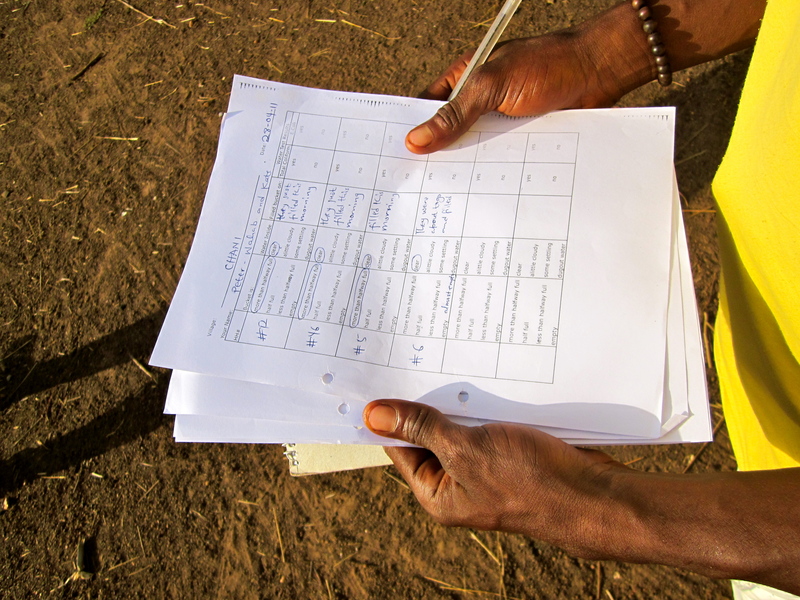 Peter and Wahab did an awesome job monitoring – i just sat back and took pictures! 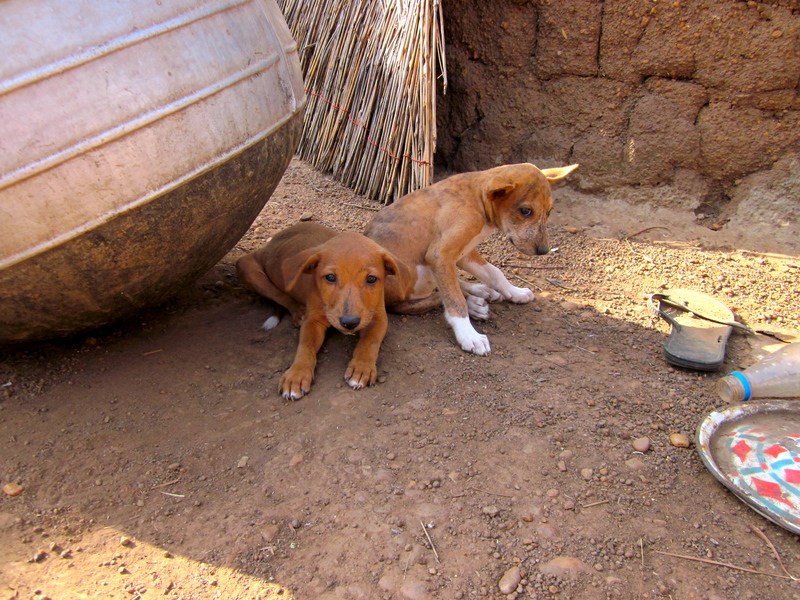 Besides getting to see everything run smoothly, being in Chani this morning was exciting for another reason as well…there were puppies in almost every house! We didn’t know what was going on with all these little guys, but we loved it! 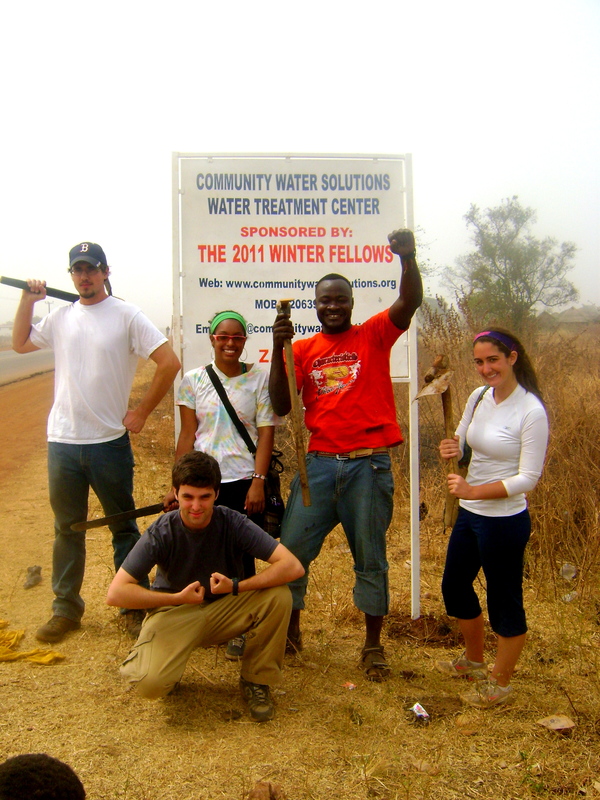 If you have been reading our “voices from the field” series, than you have gotten a small glimpse of the everyday work that our 2011 Winter Fellows completed during their time here in Ghana. 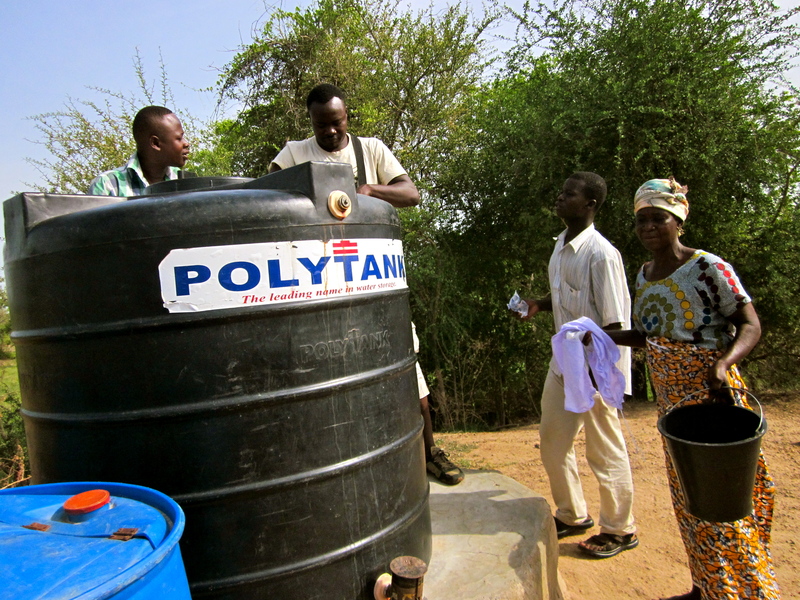 You’ve seen how they built polytank stands, danced with the children in their villages, distributed safe storage containers, held village meetings, performed water quality testing in the lab, trained local women how to make water from their local sources safe to drink, and even sampled some traditional Ghanaian food! The day-to-day work is fun, but sometimes slow; exciting, but often exhausting, and sometimes, its easy to get lost in all of the small details of the project. 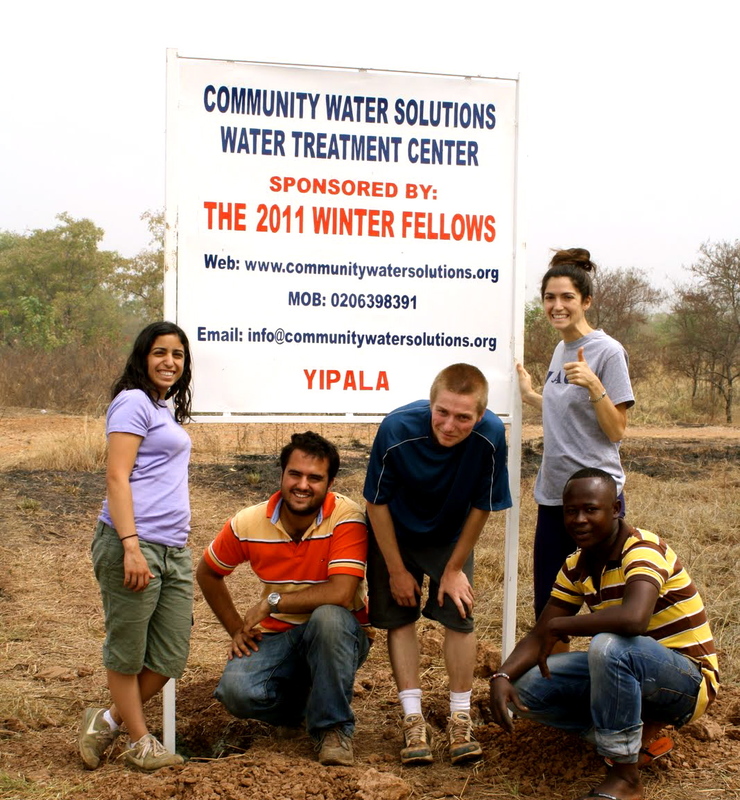 Looking back over the past 5 weeks, the bottom line is this: the 2011 Winter Fellows provided permanent sources of safe drinking water for over 4,200 people! That is pretty amazing! Team 6: Karla, Sam, Annie and Hannah S.
Team 2: Sarah, Cam, Nate, and Hannah H.
Of course none of the Fellows’ work could have been possible without your support! 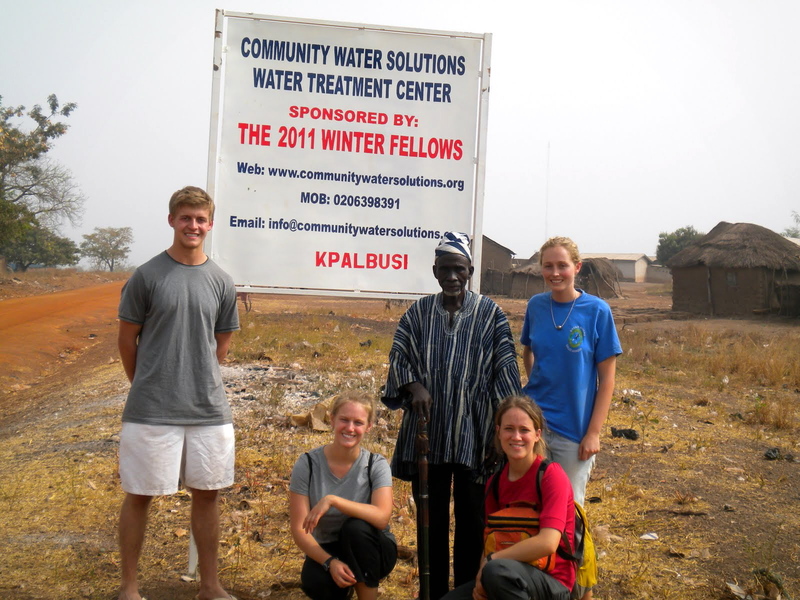 We’d like to thank all of the parents, teachers, friends, neighbors, churches, community groups, local businesses and everyone else who supported the 2011 Winter Fellows – without all of you, the fellowship teams could not have made such an amazing impact during their time in Ghana! THANK YOU!